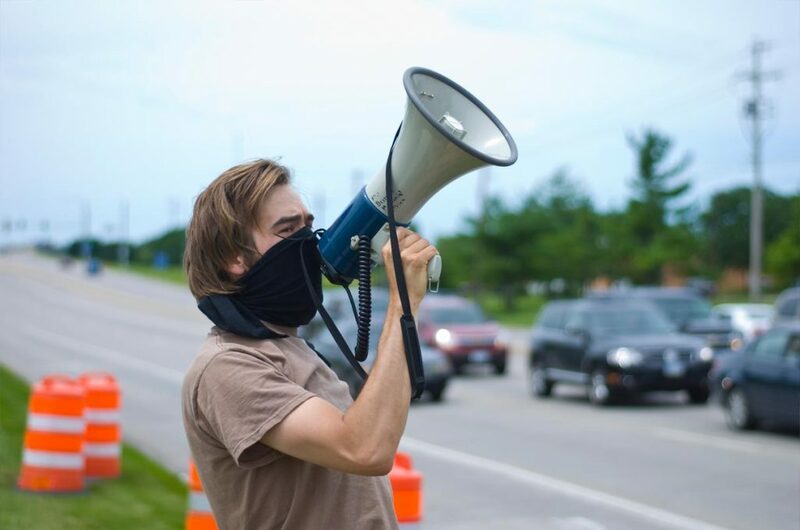 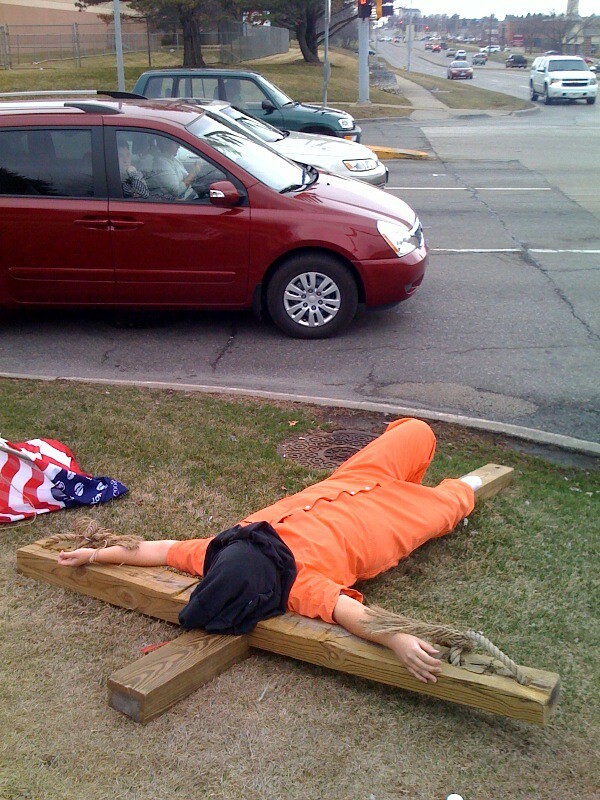 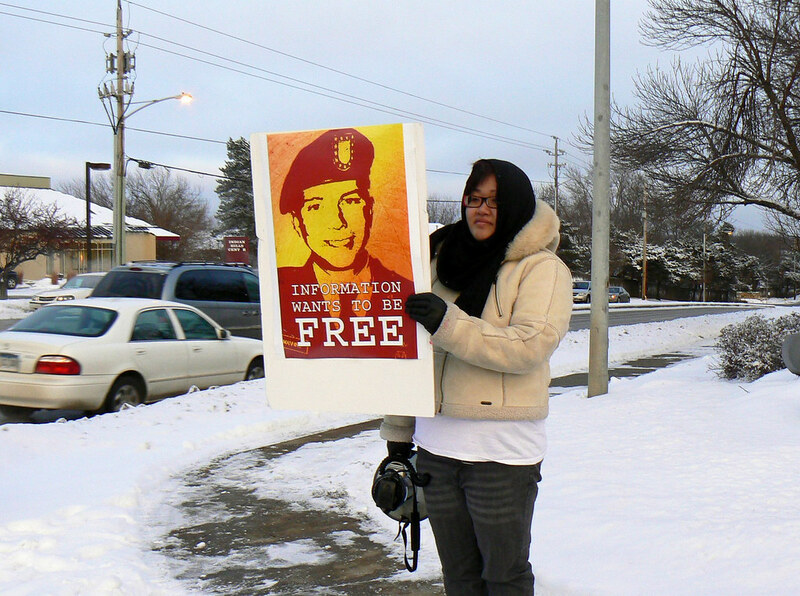 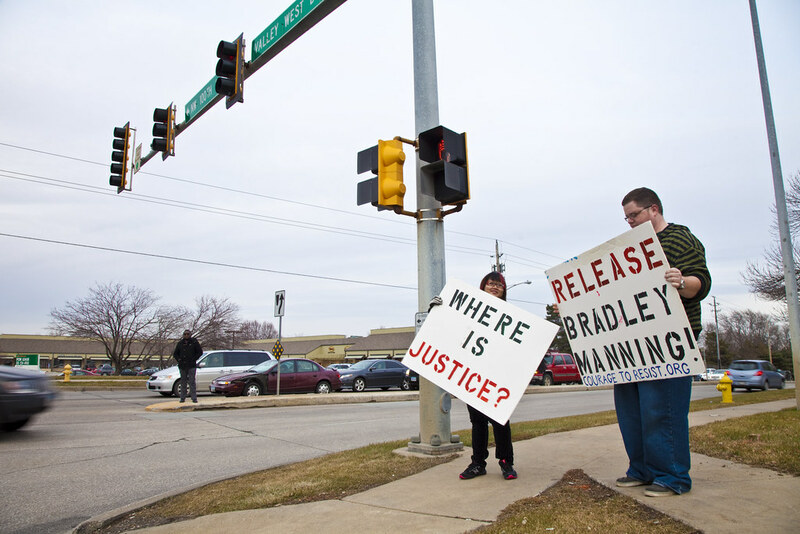 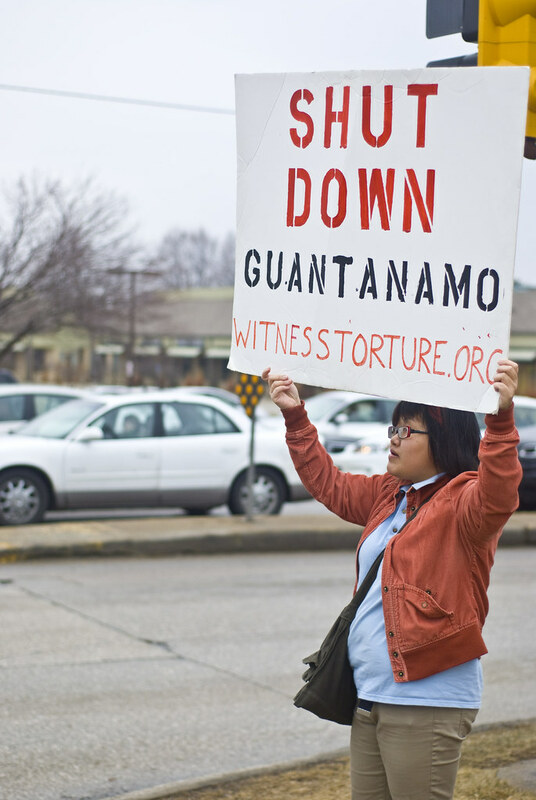 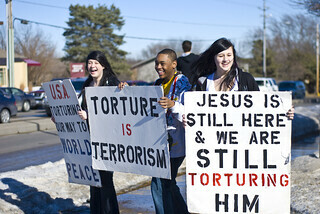 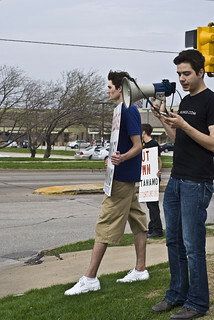 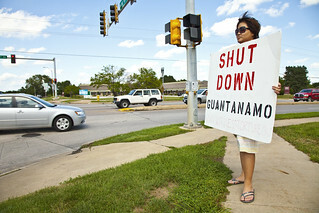 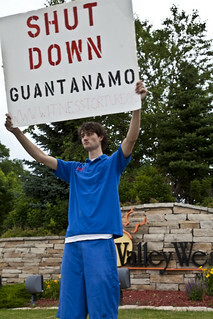 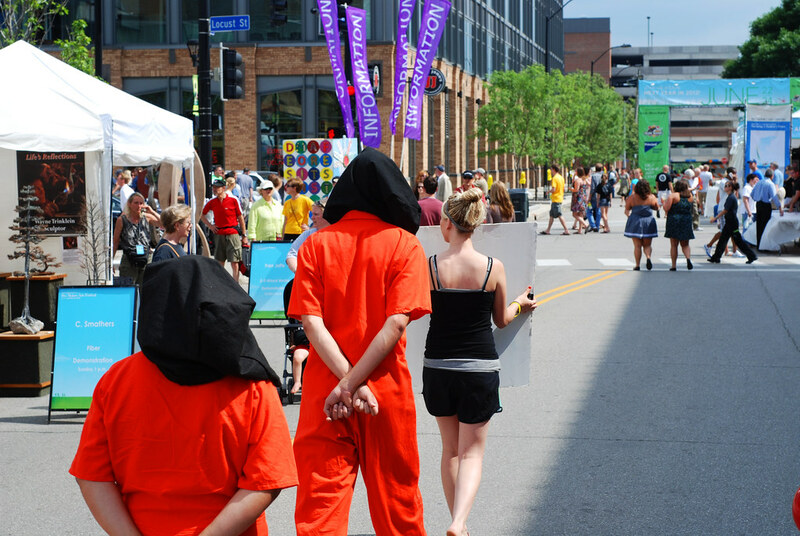 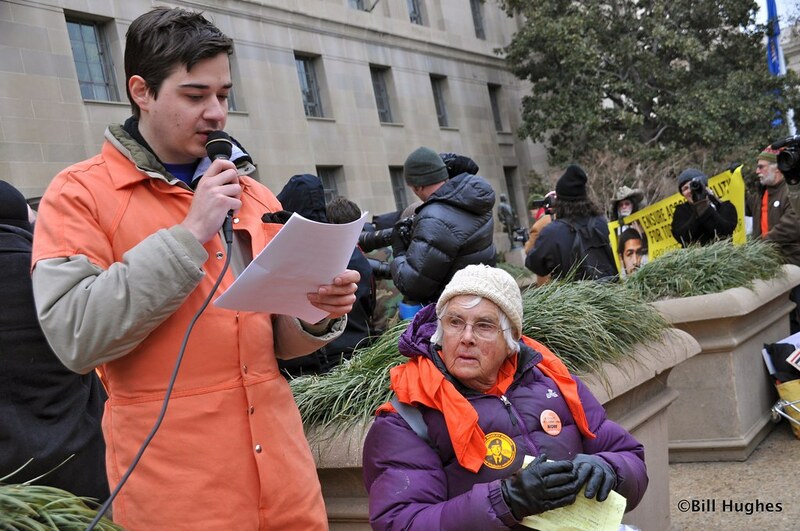 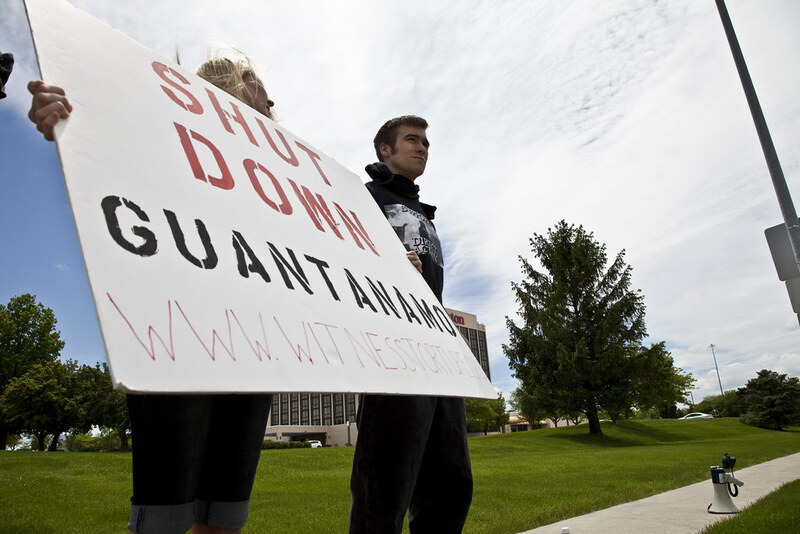 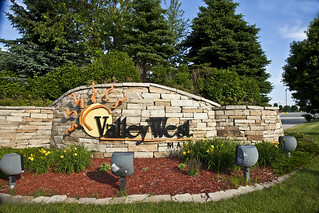 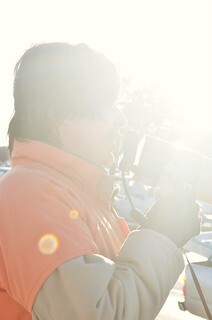 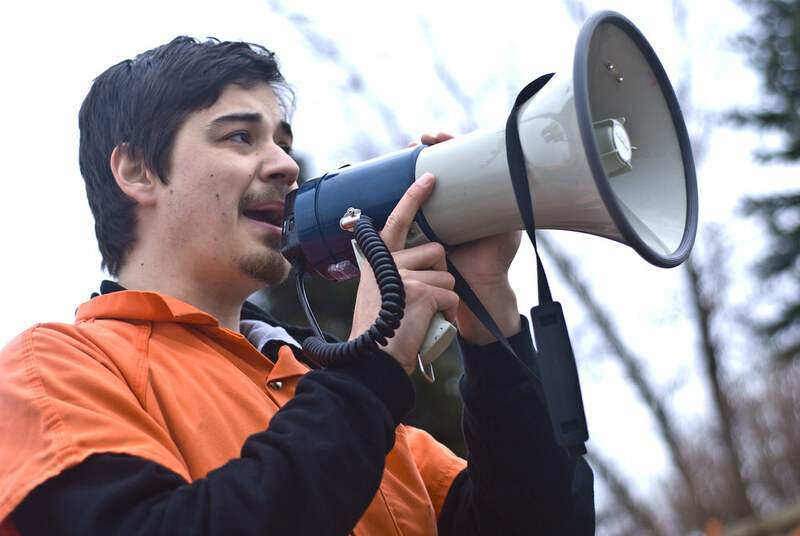 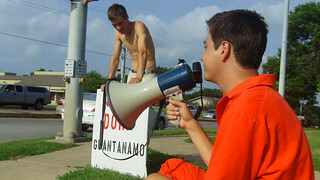 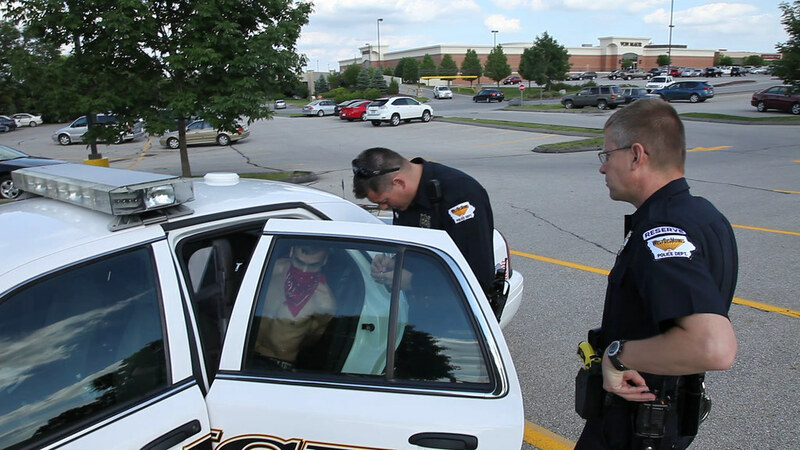 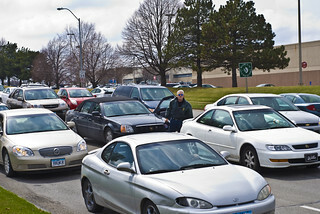 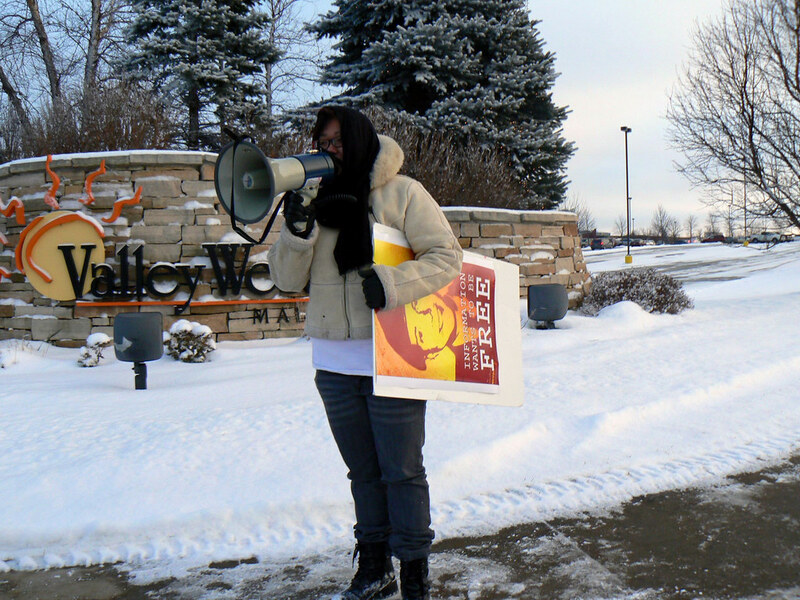 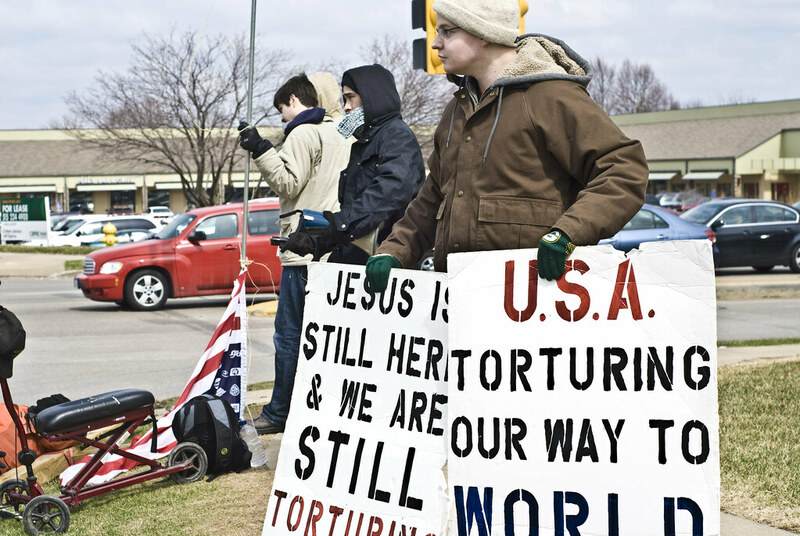 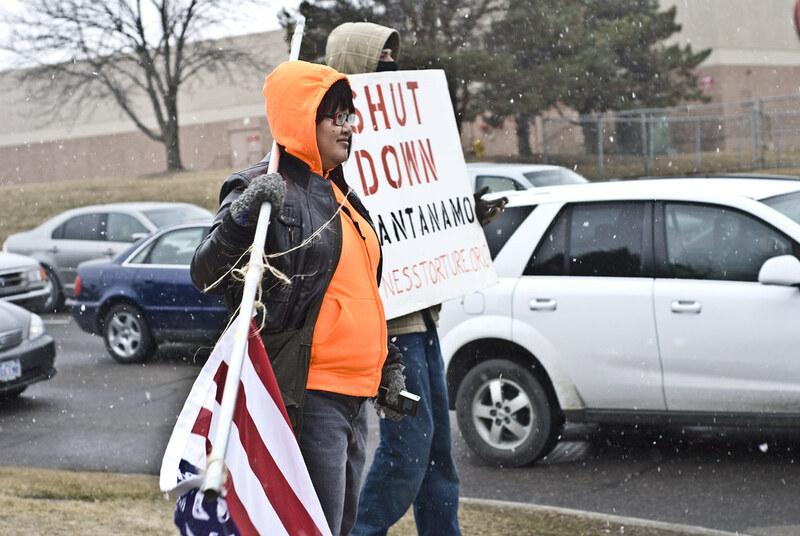 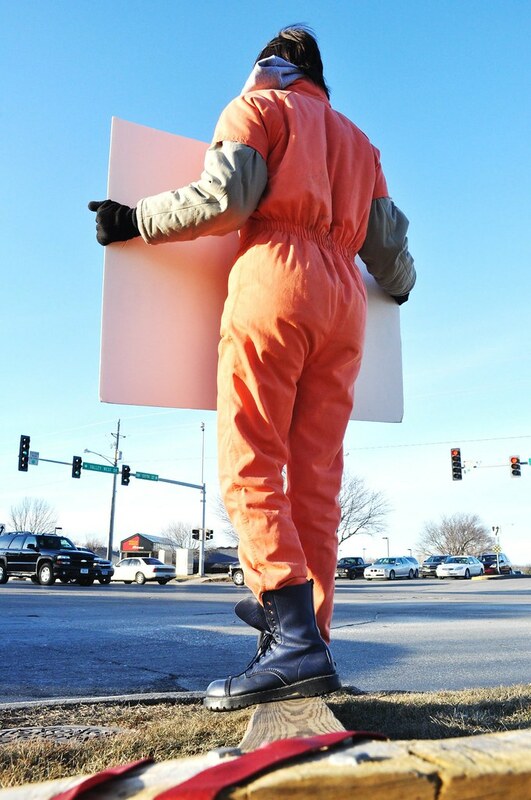 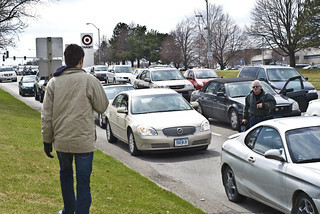 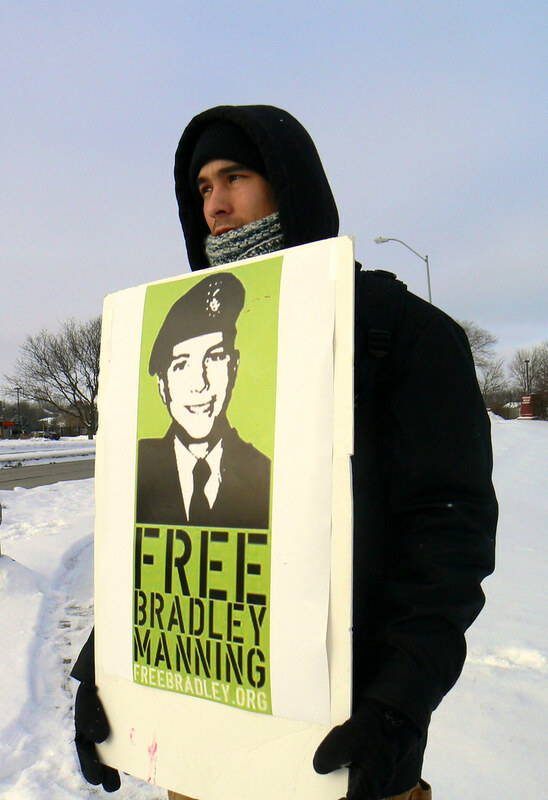 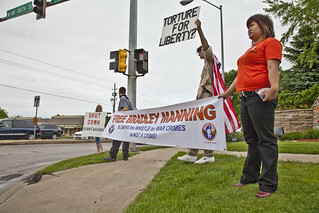 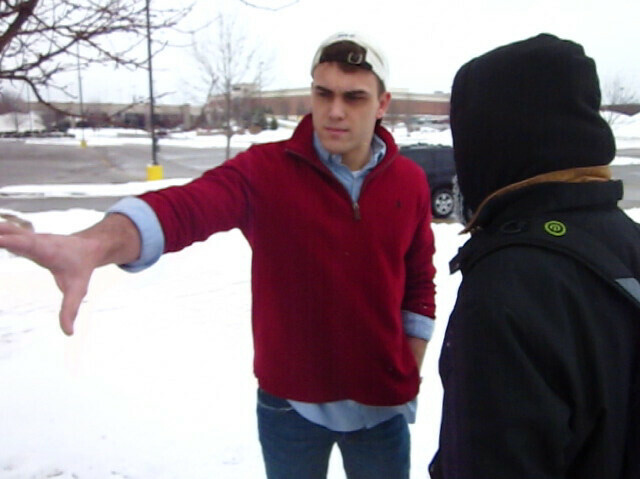 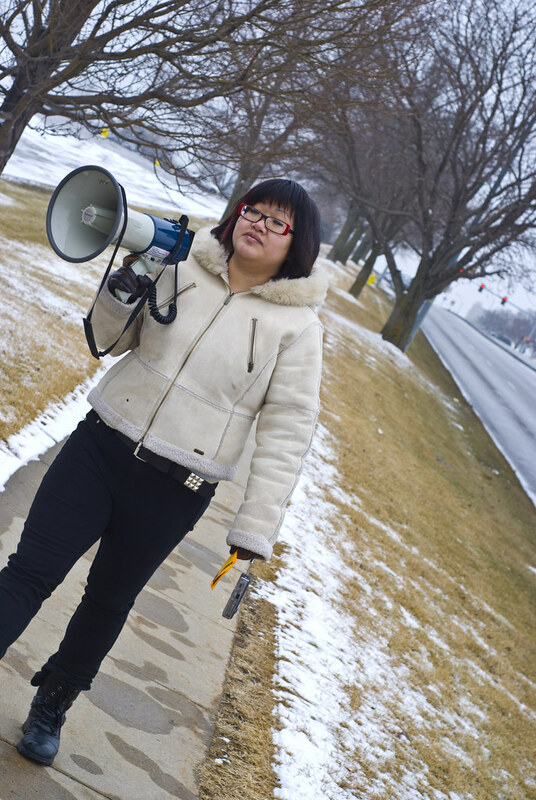 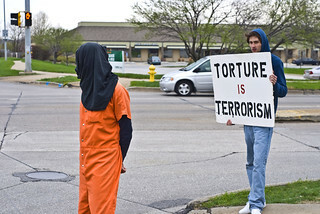 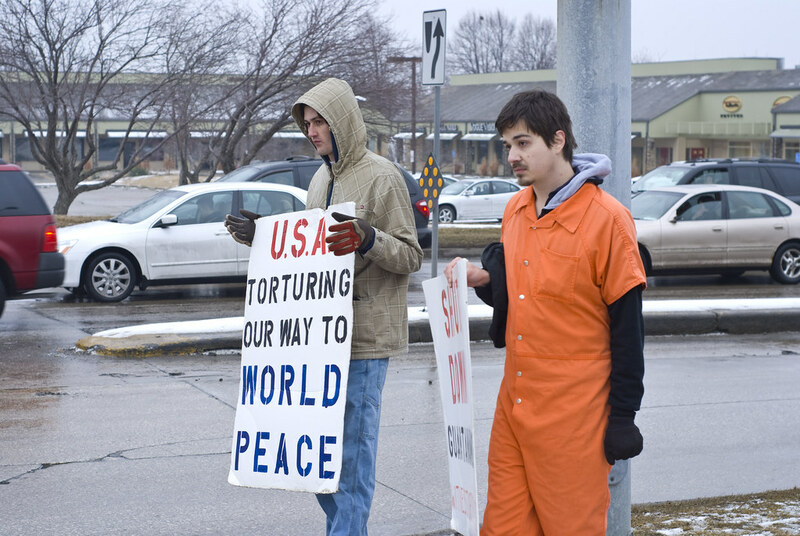 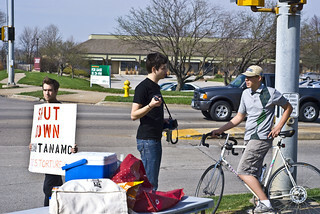 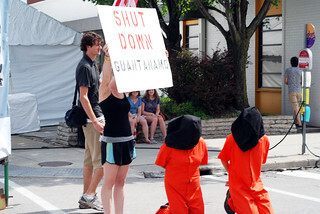 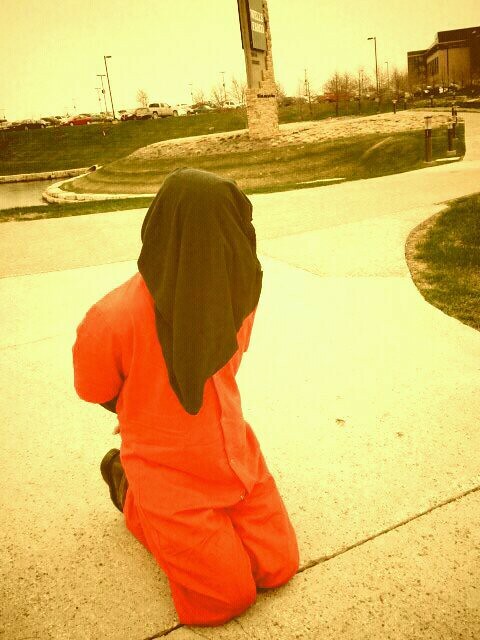 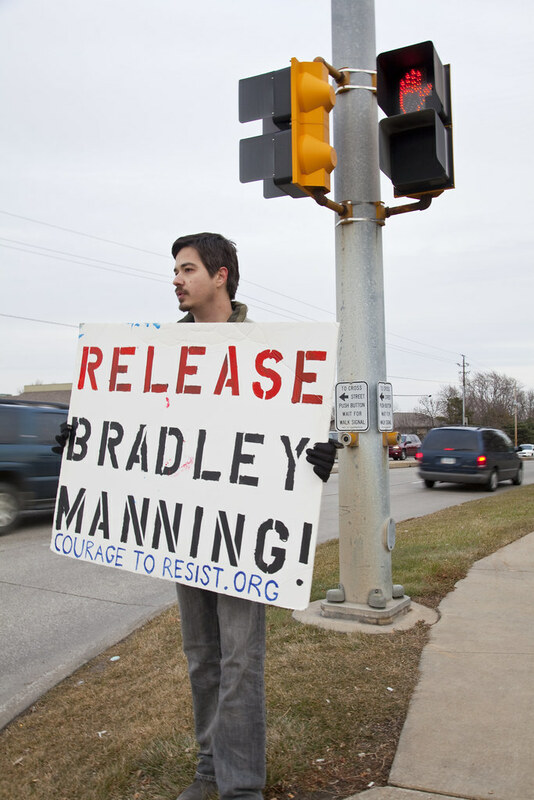 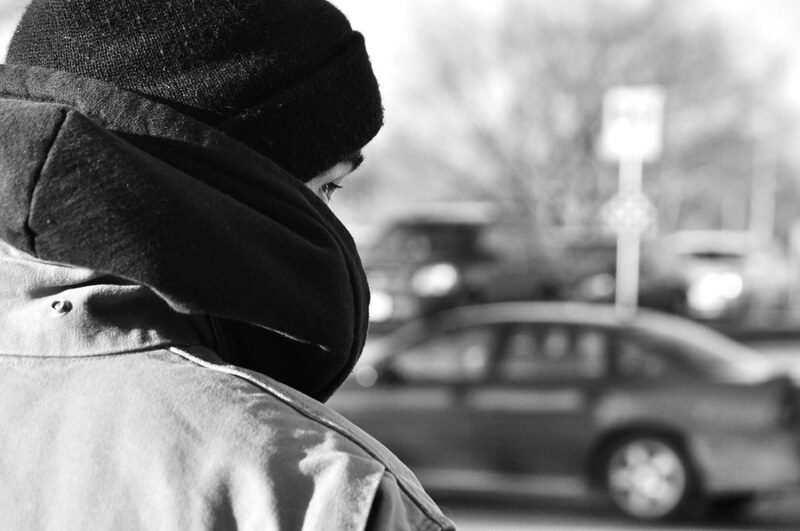 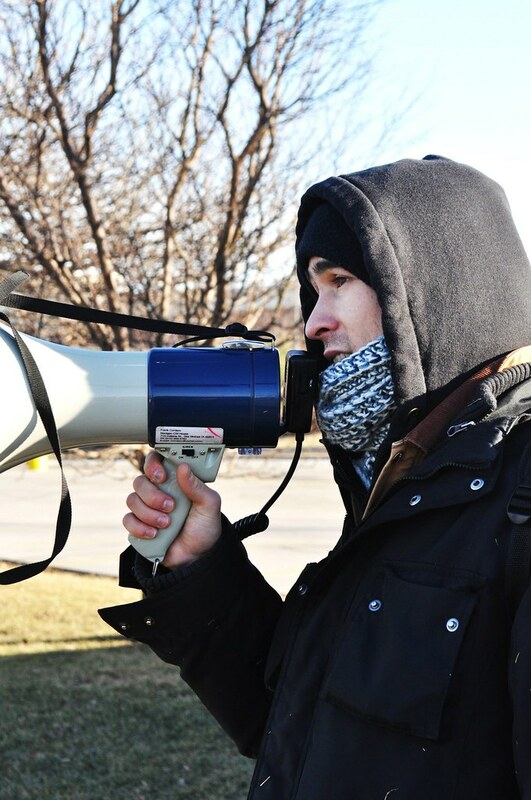 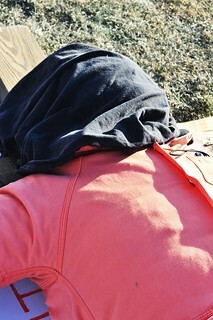 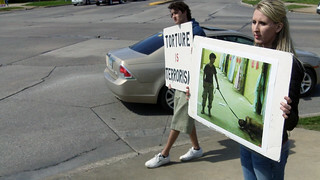 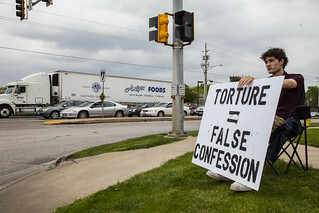 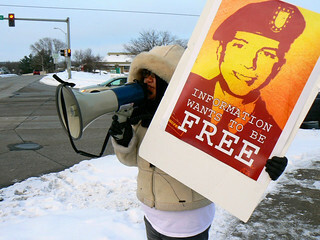 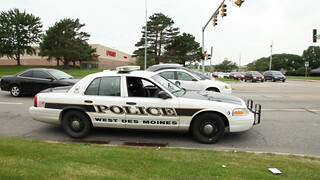 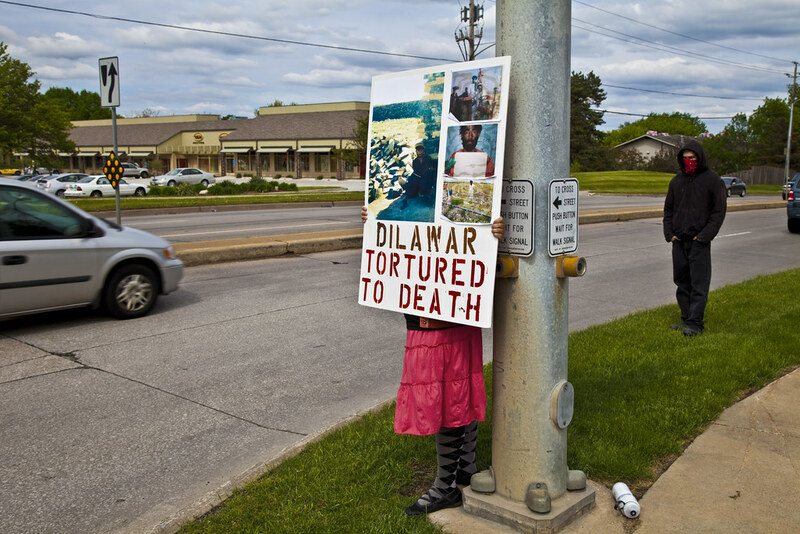 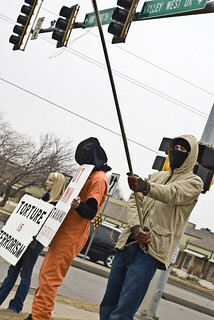 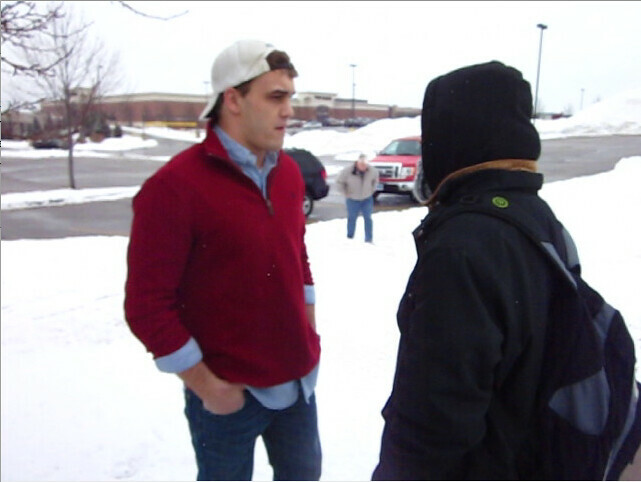 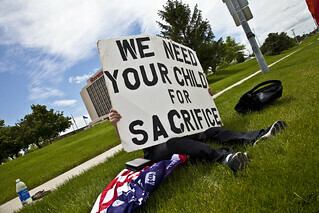 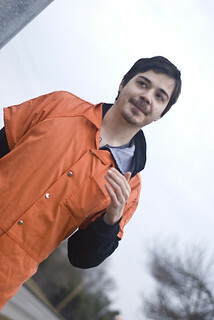 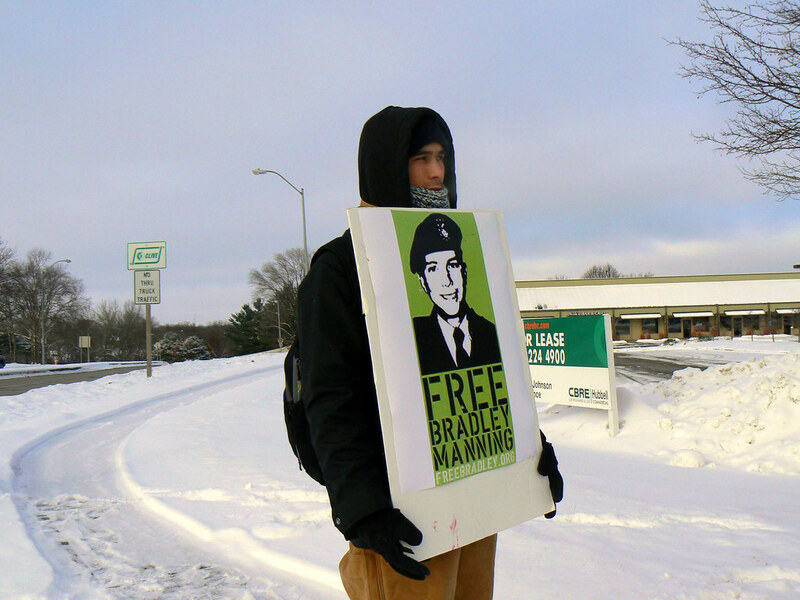 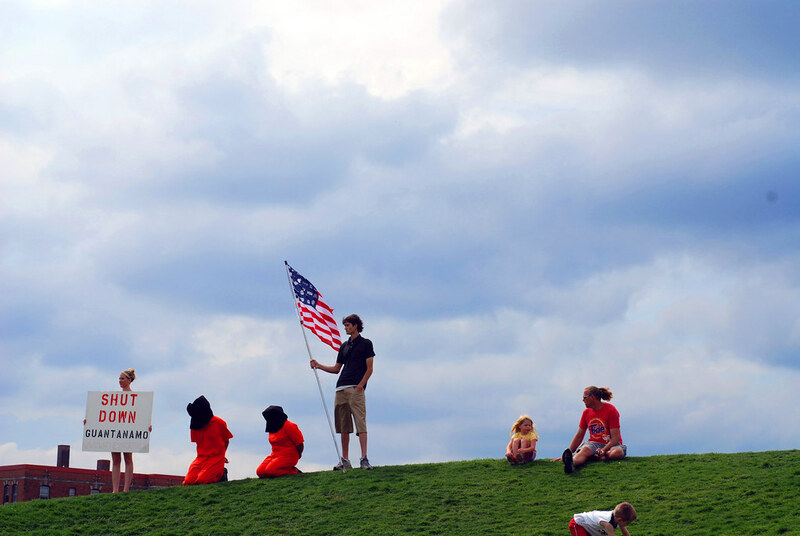 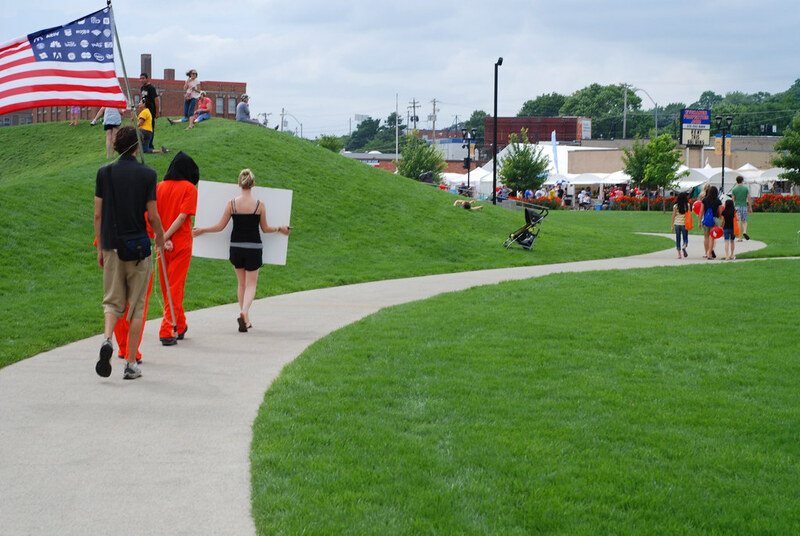 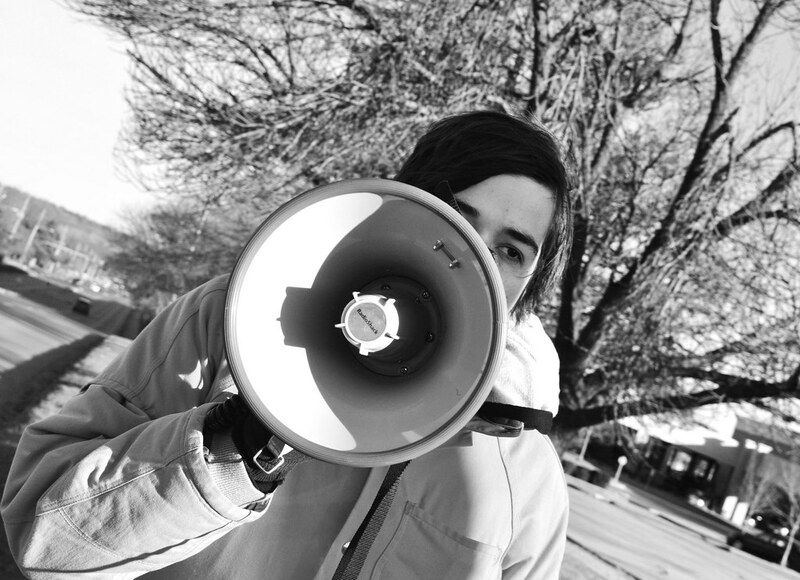 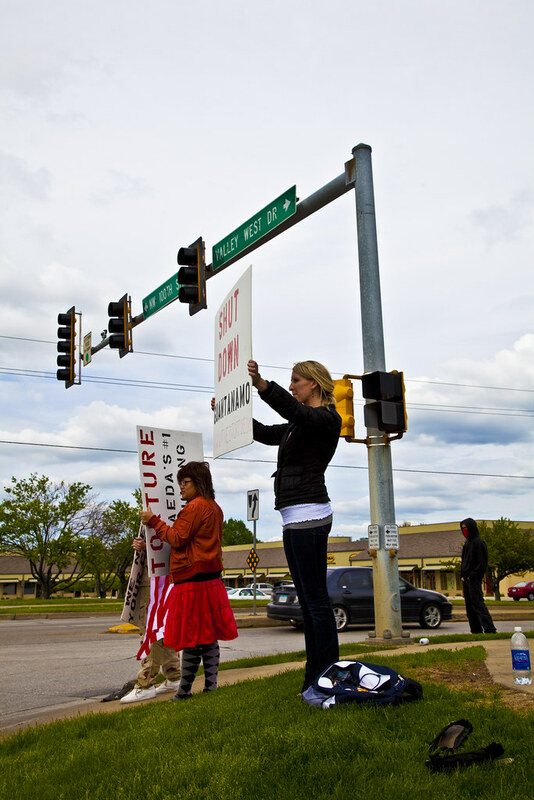 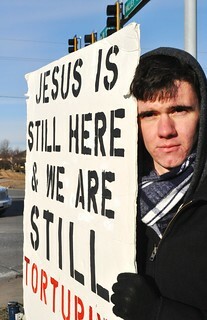 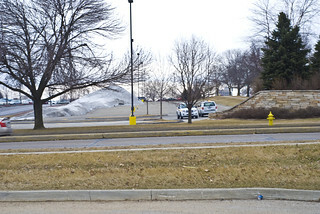 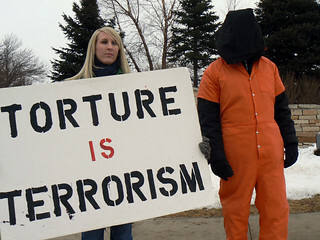 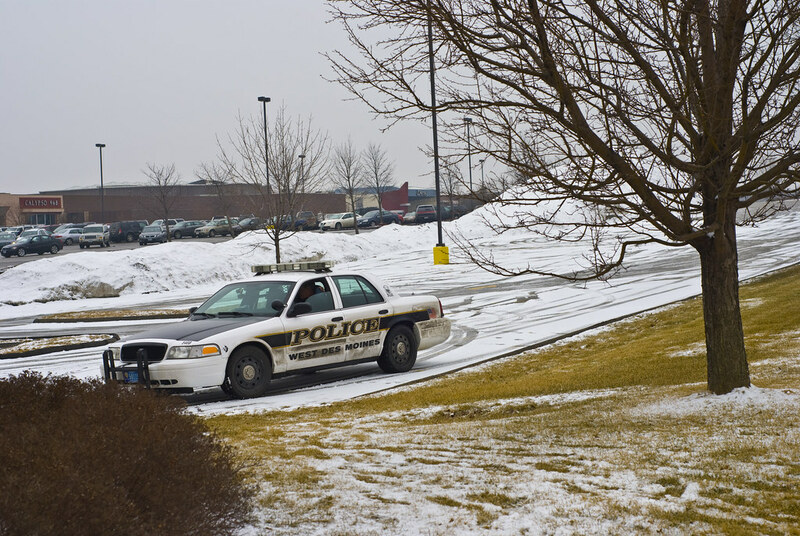 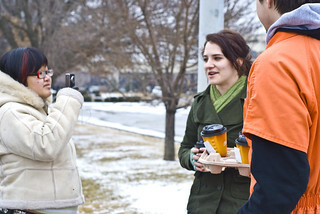 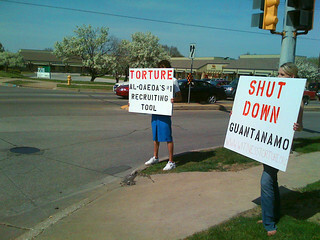 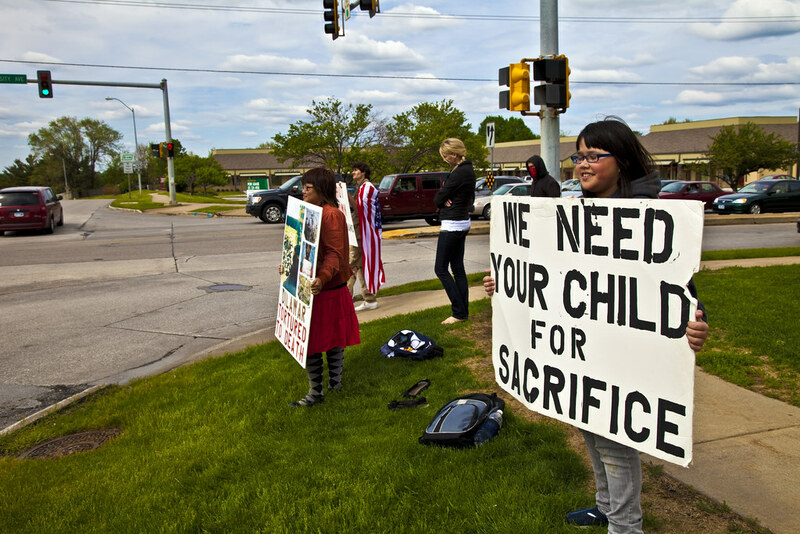 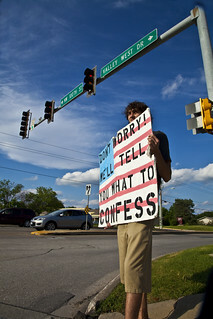 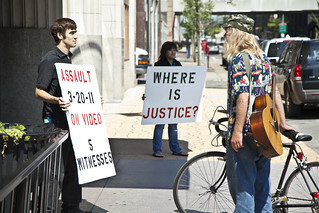 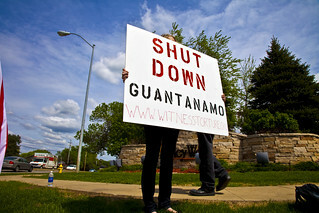 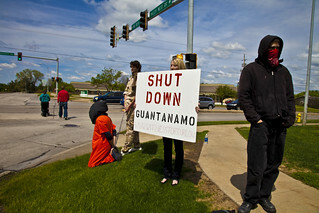 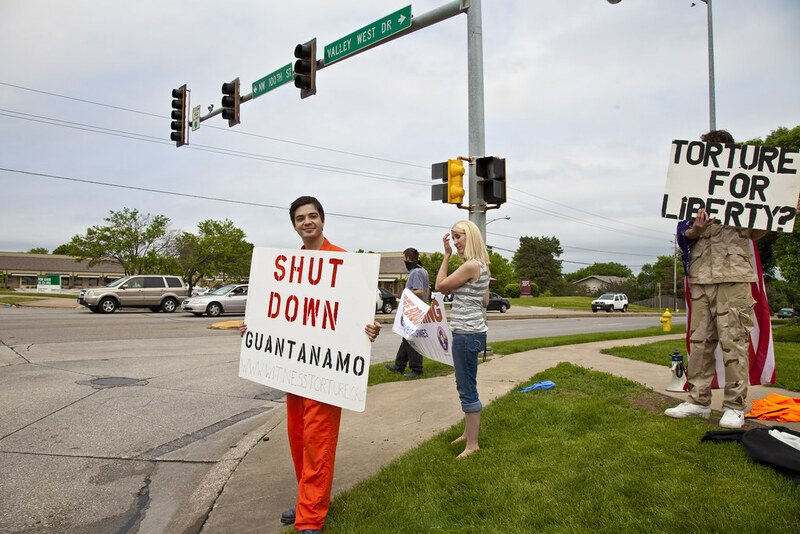 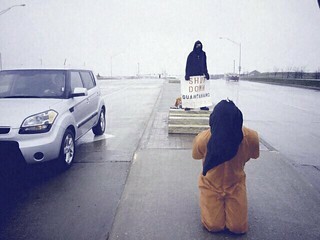 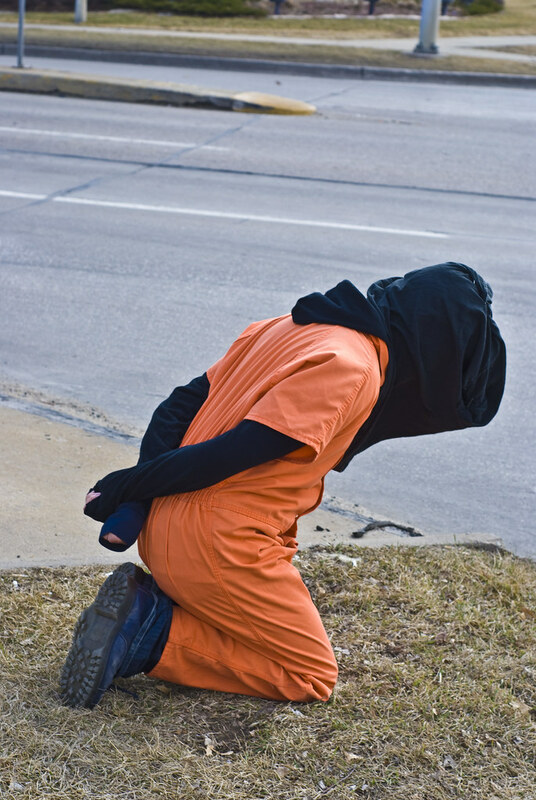 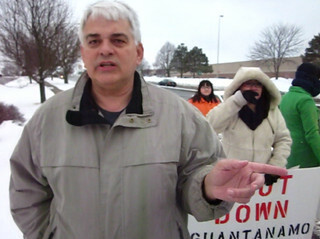 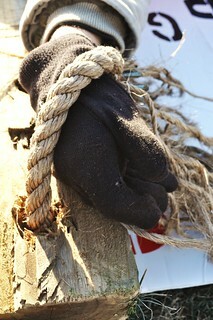 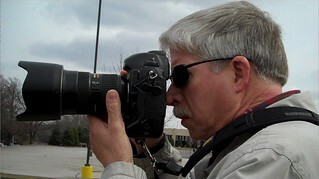 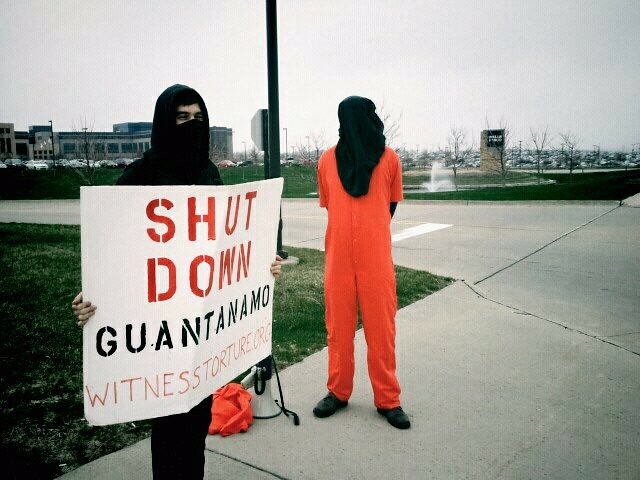 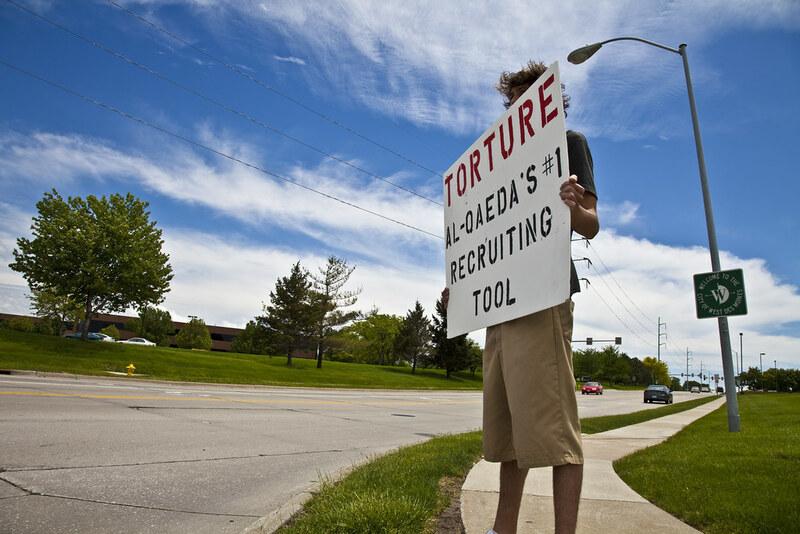 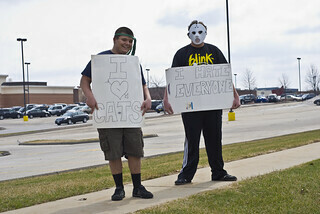 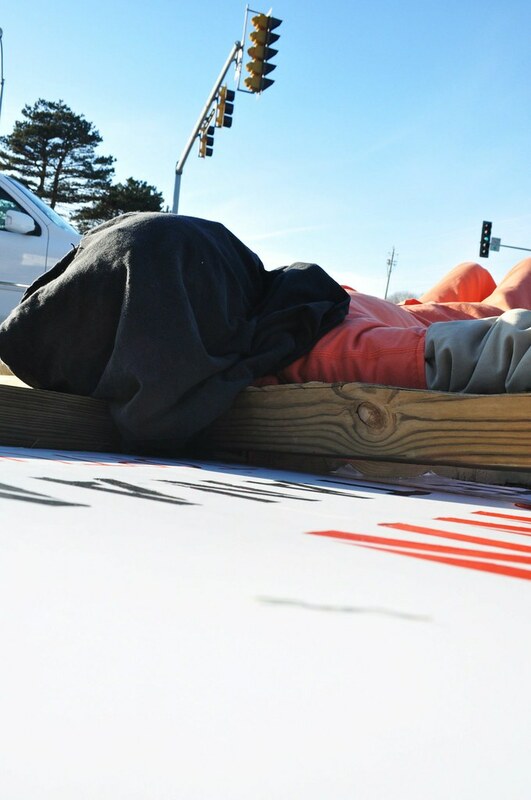 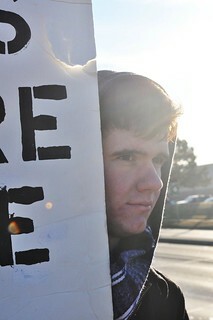 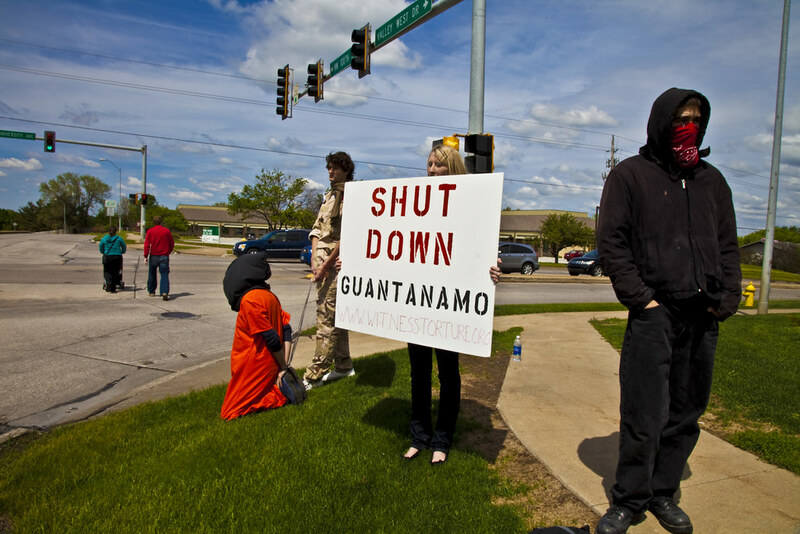 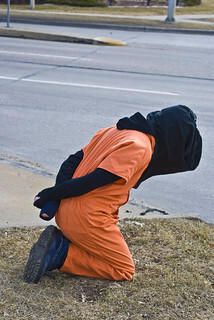 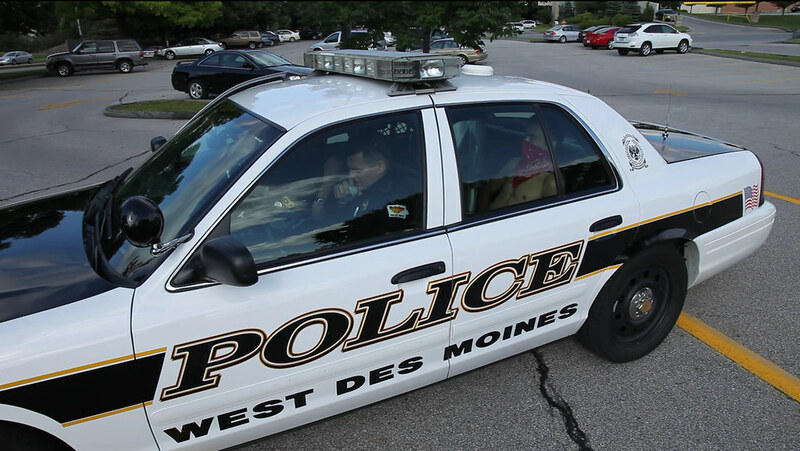 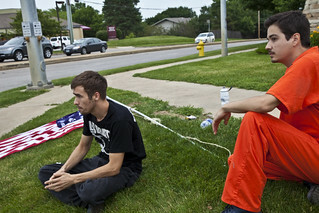 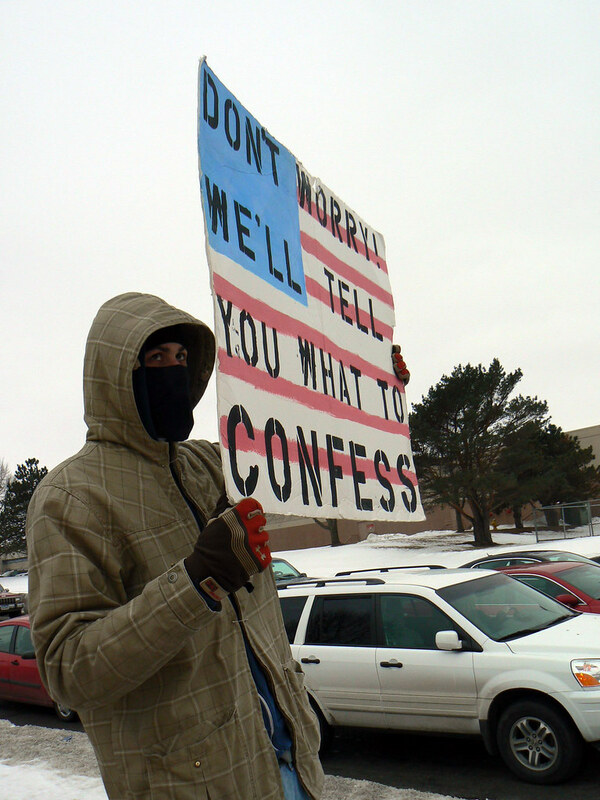 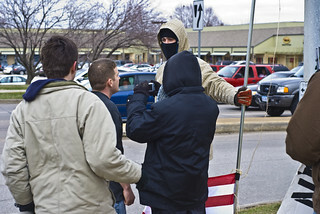 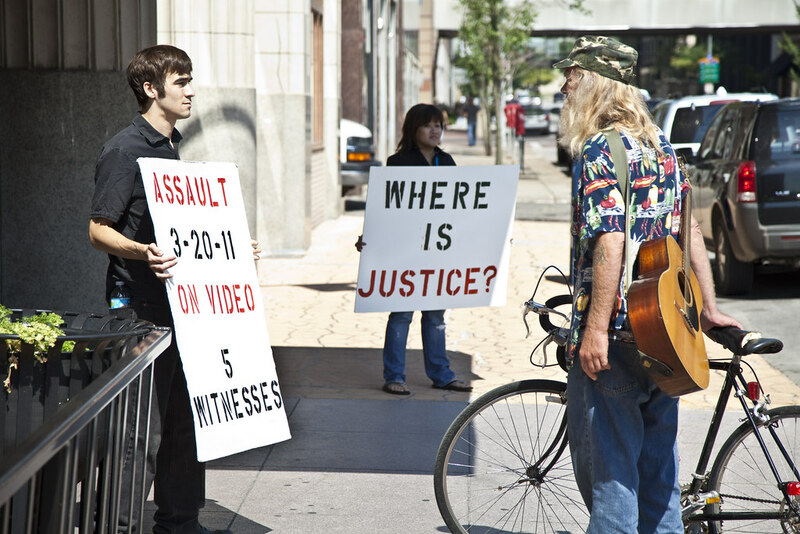 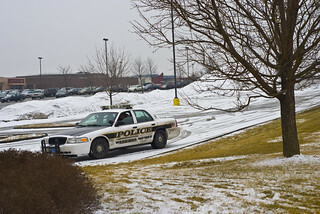 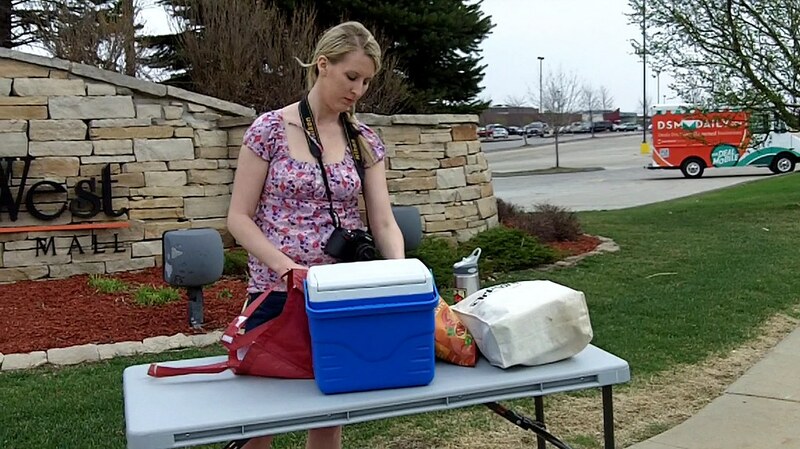 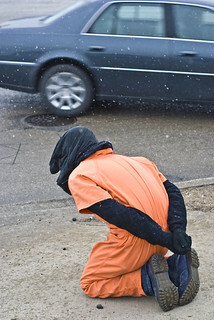 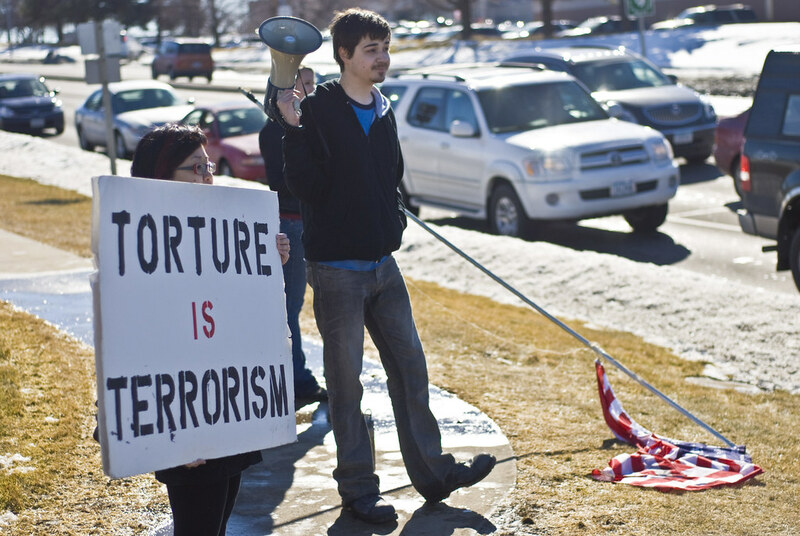 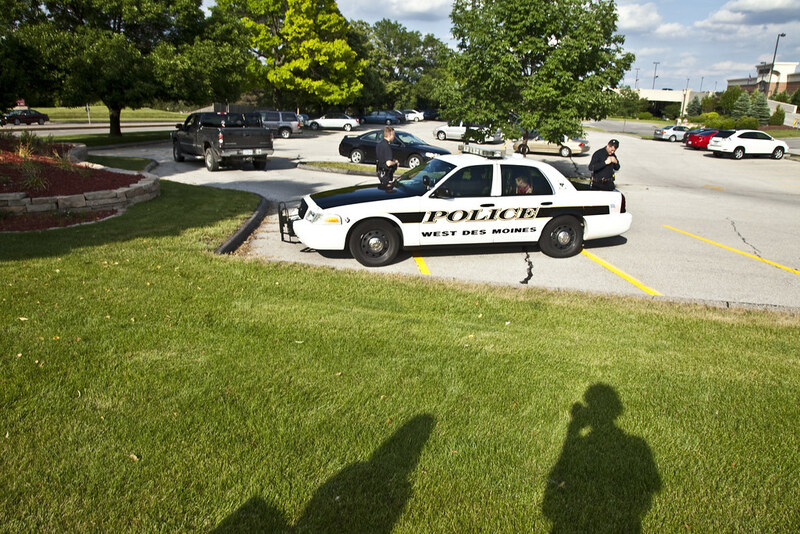 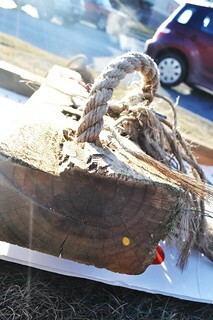 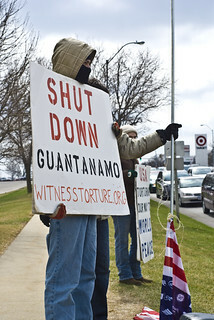 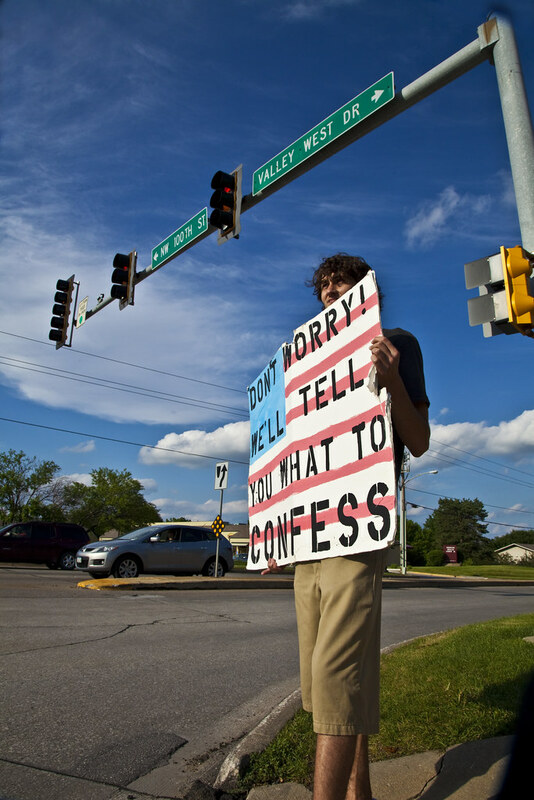 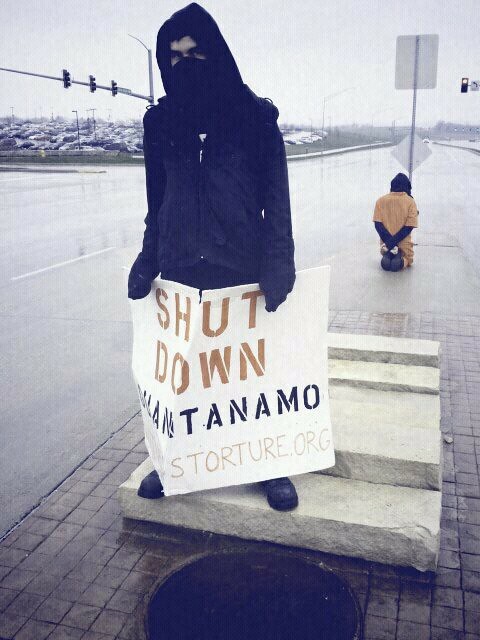 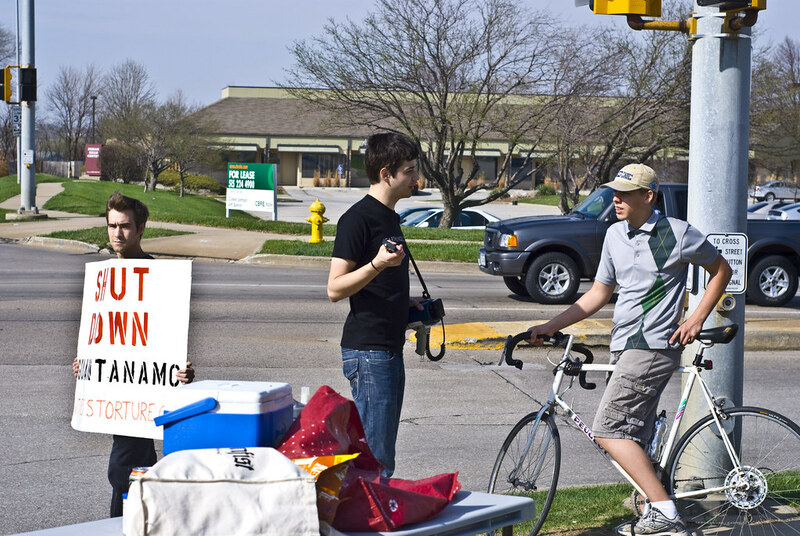 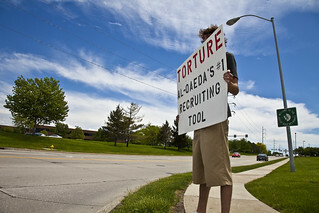 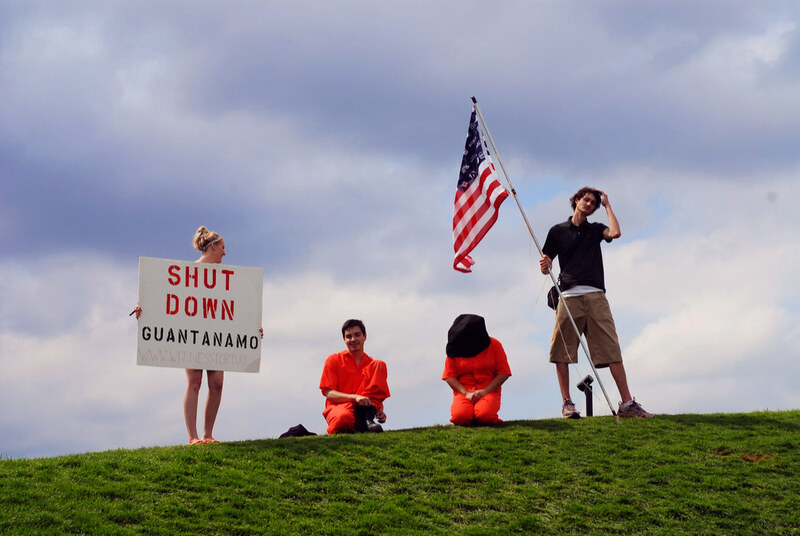 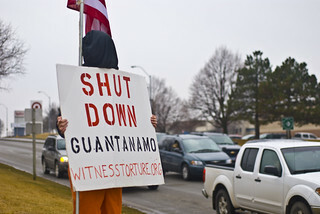 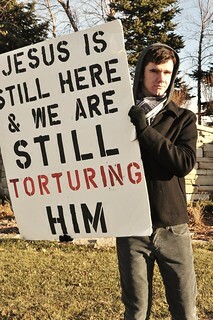 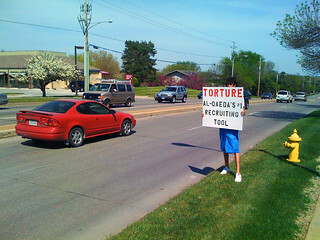 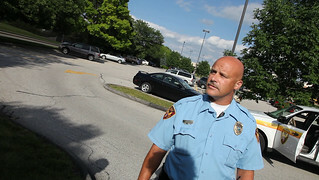 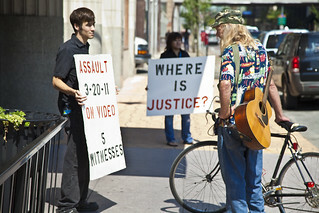 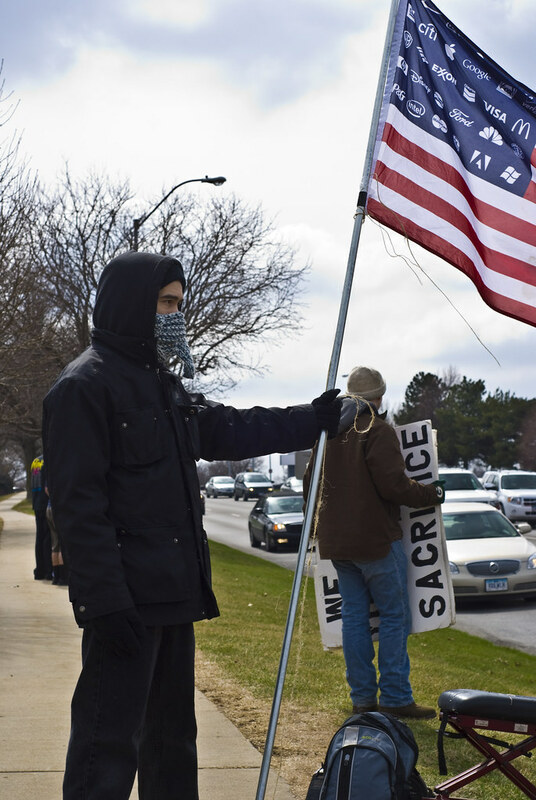 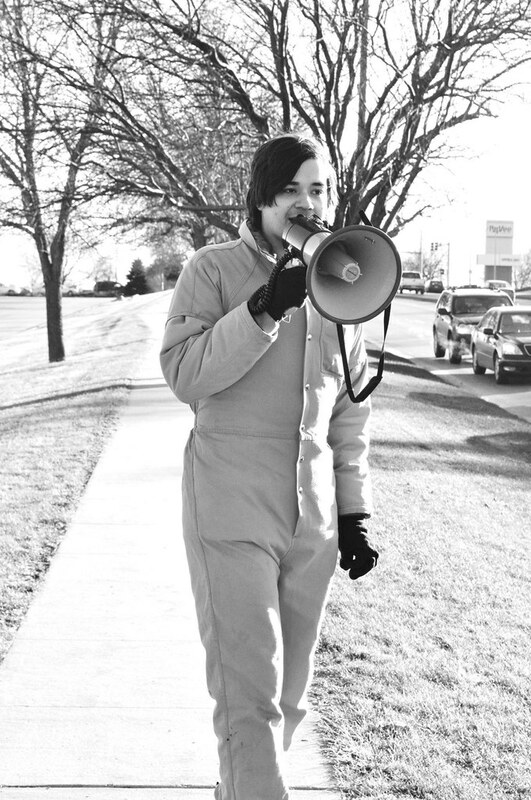 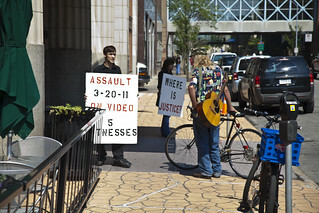 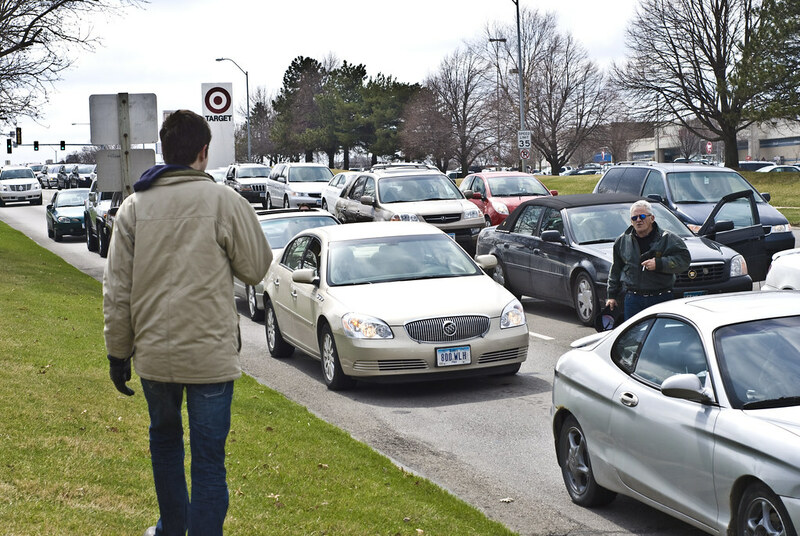 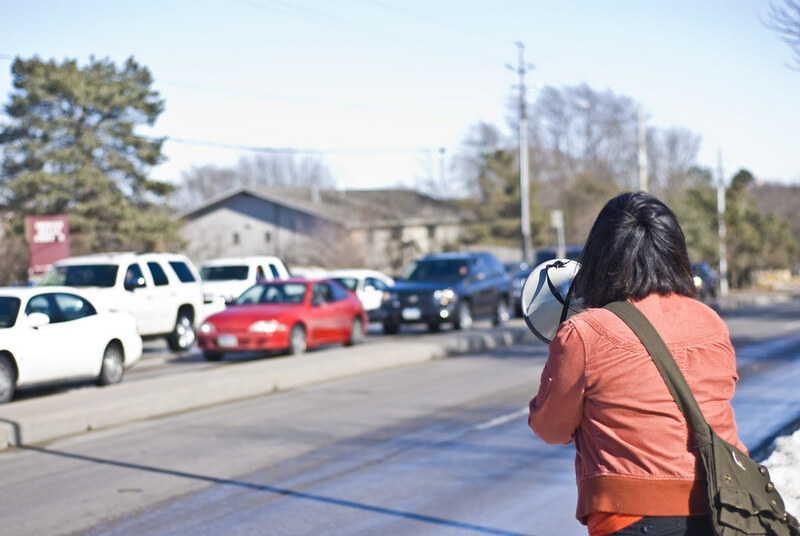 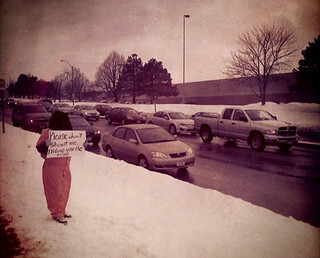 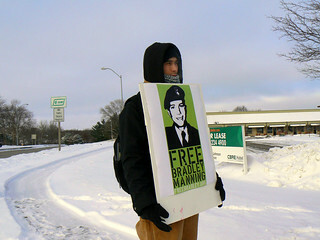 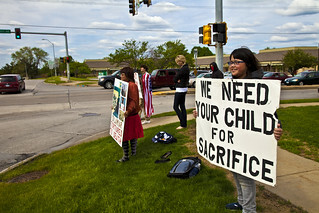 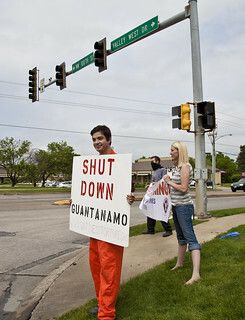 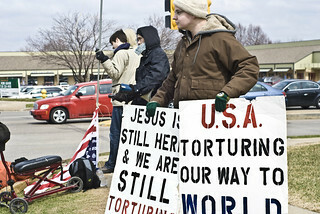 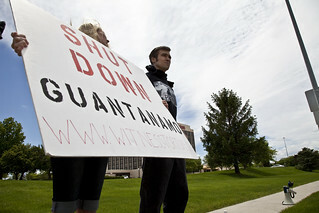 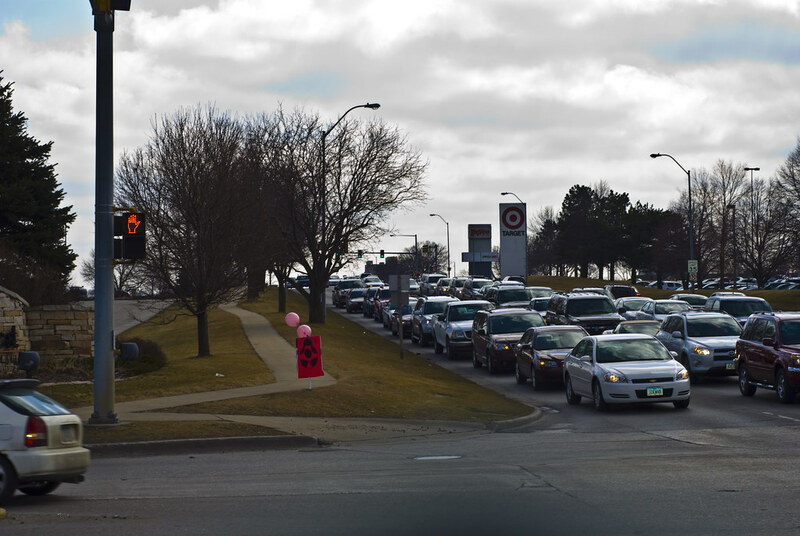 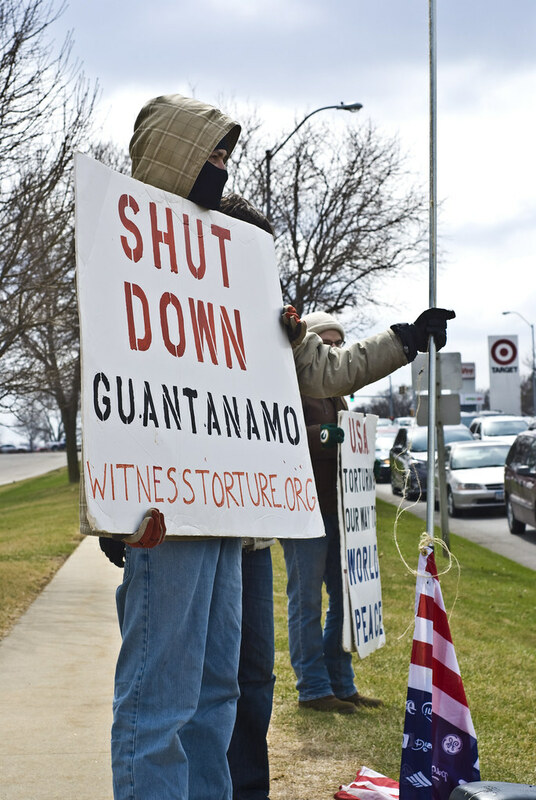 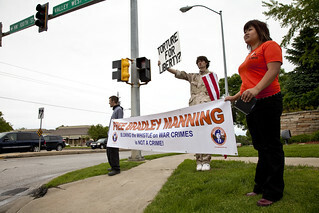 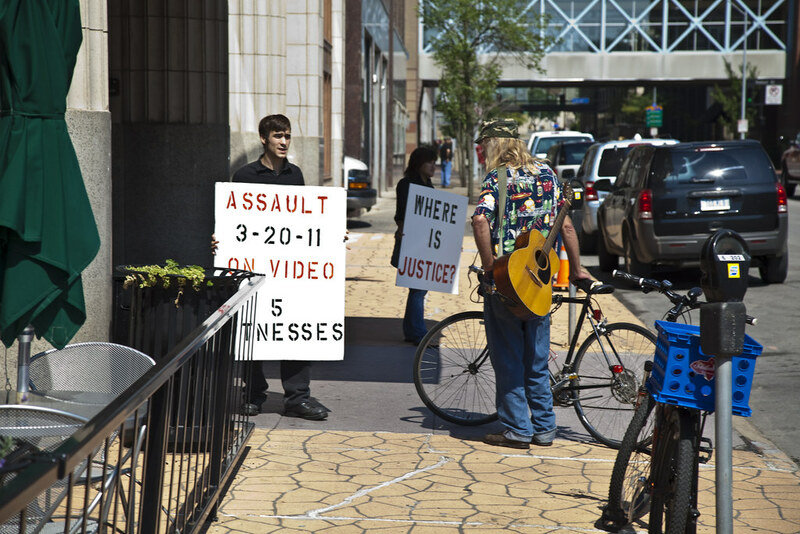 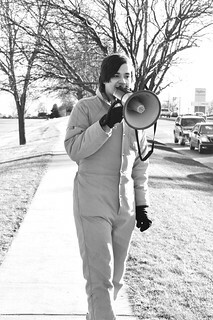 Photos from the anti-torture vigil held at Valley West Mall in Des Moines, Iowa. 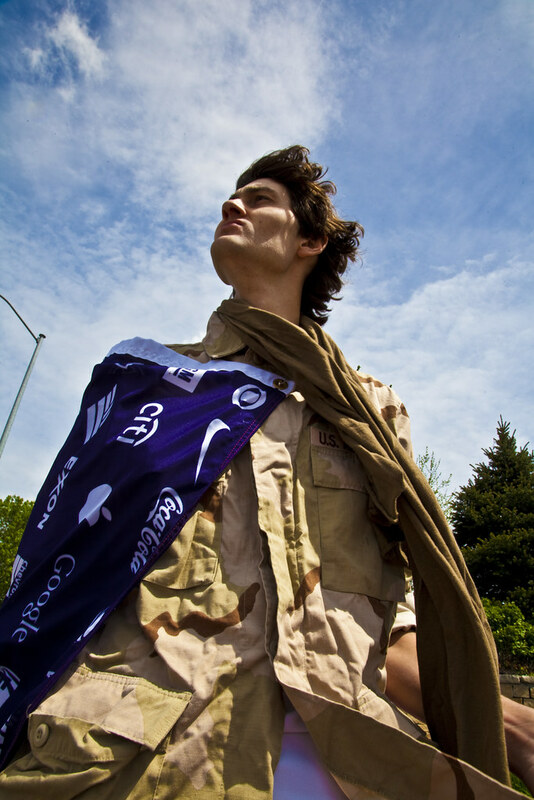 Shot by Justin Norman. 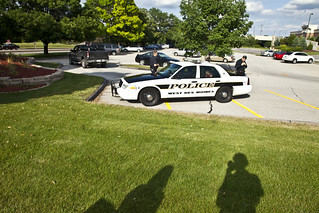 Anti-Torture Vigil - Week 35: "Please don't shoot me. 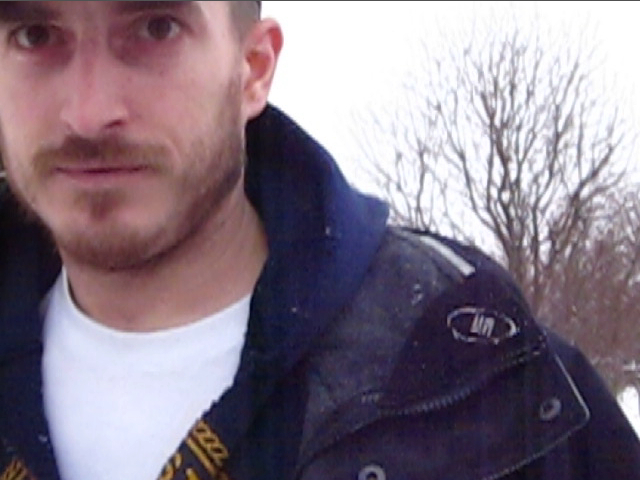 I'll give you the bread." 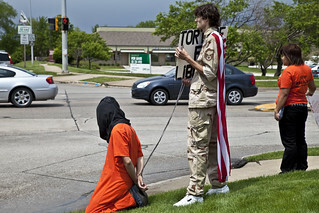 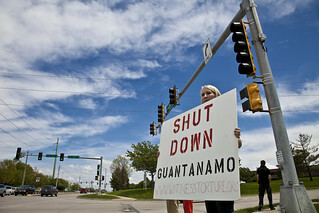 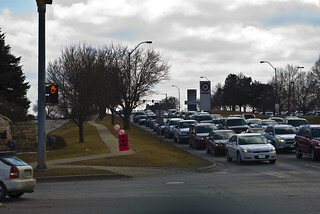 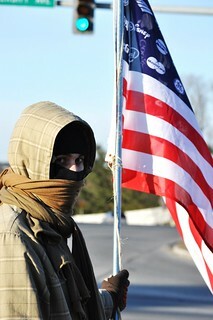 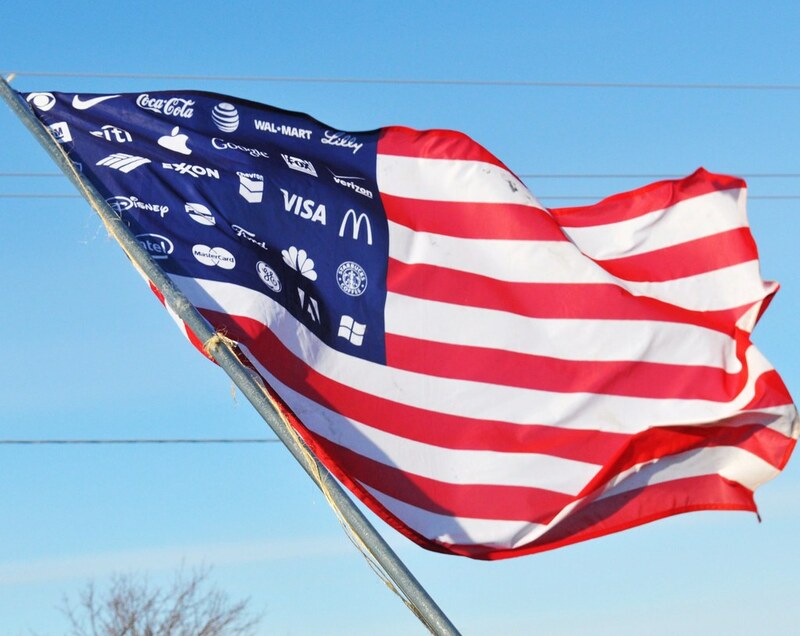 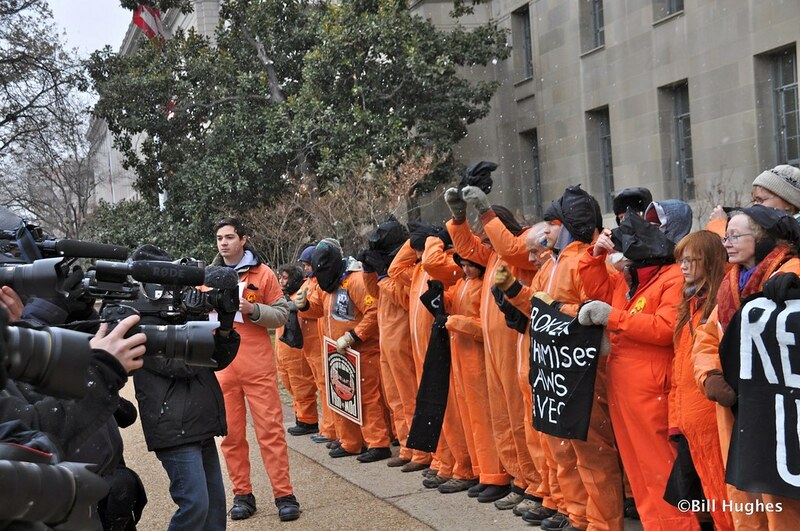 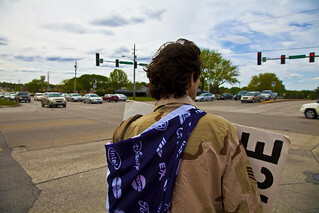 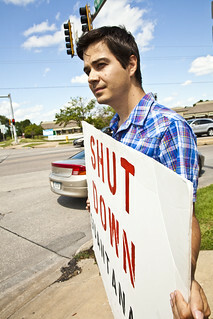 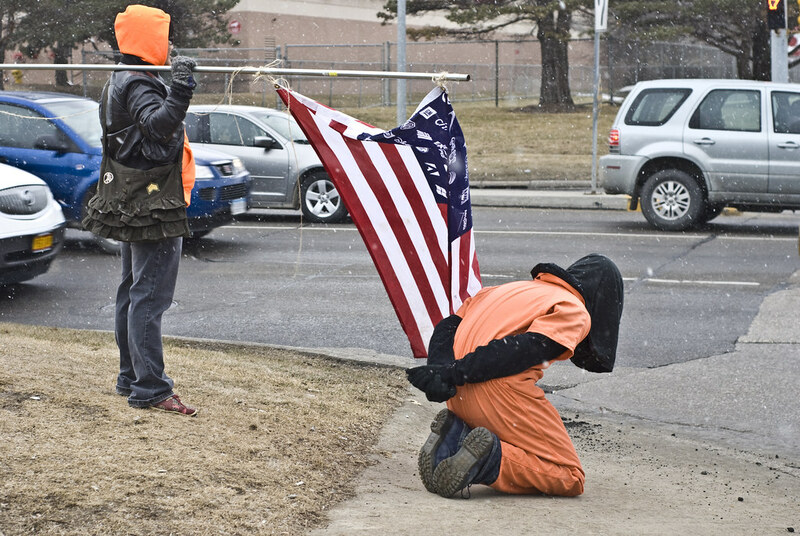 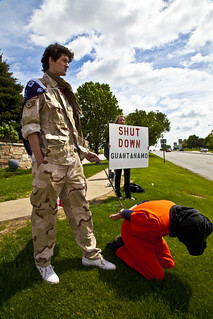 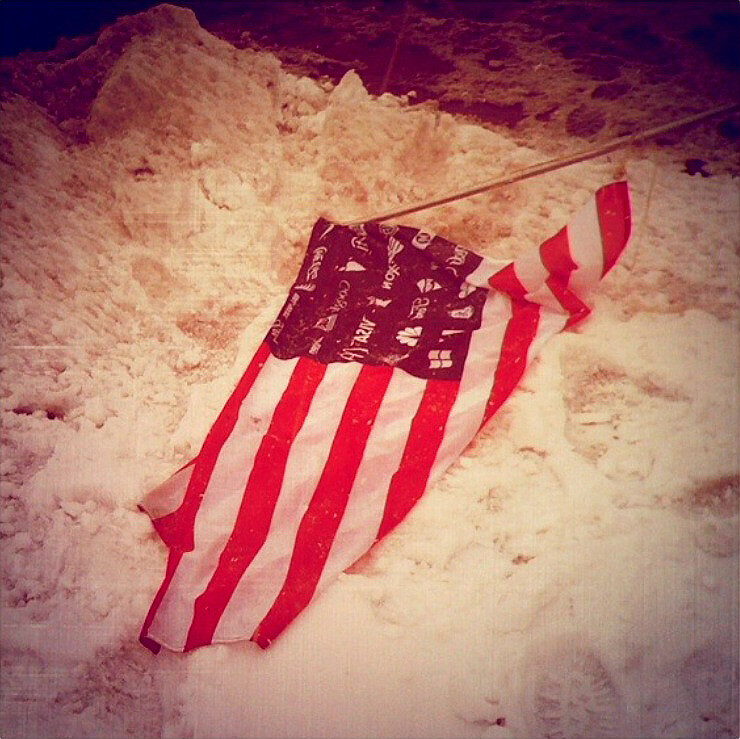 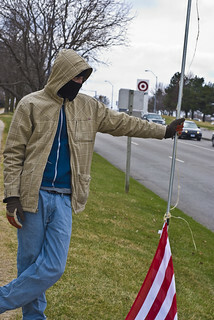 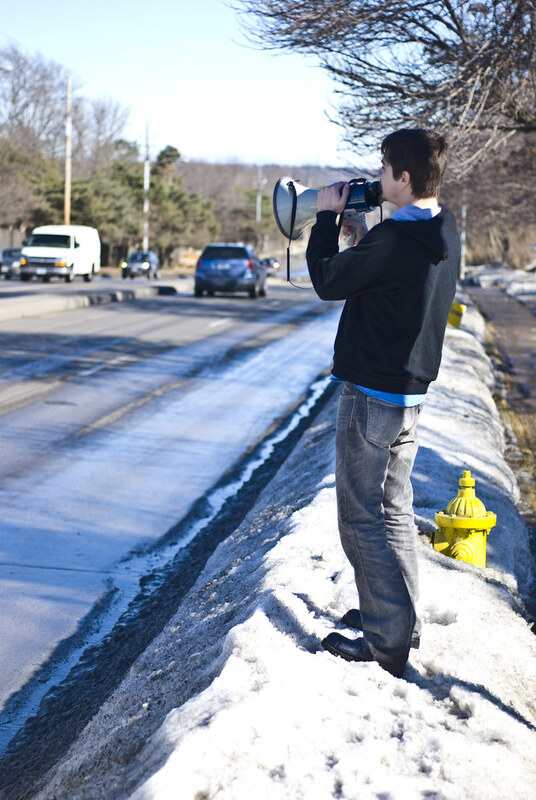 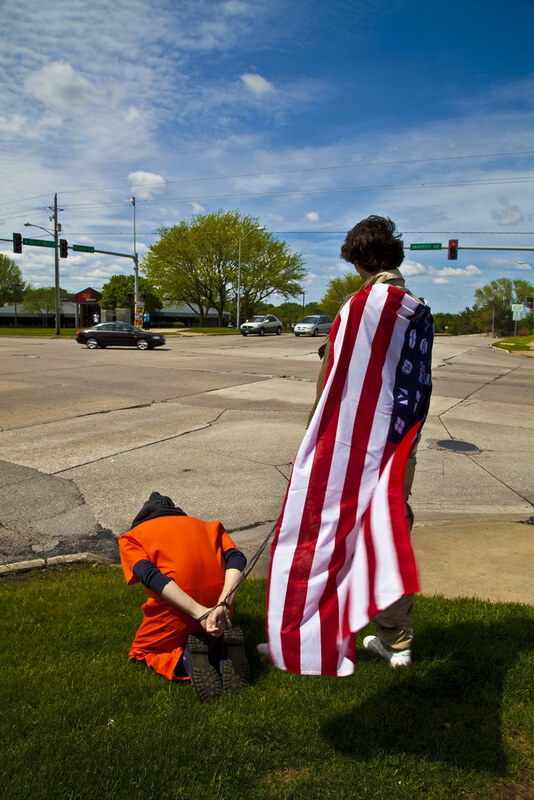 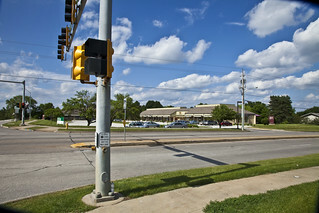 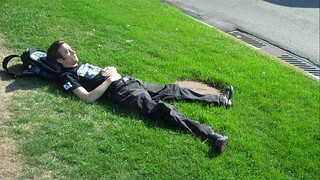 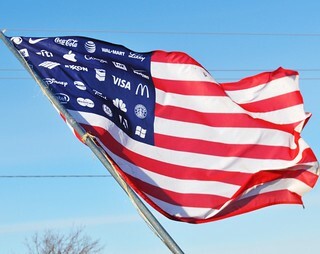 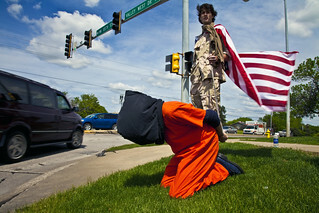 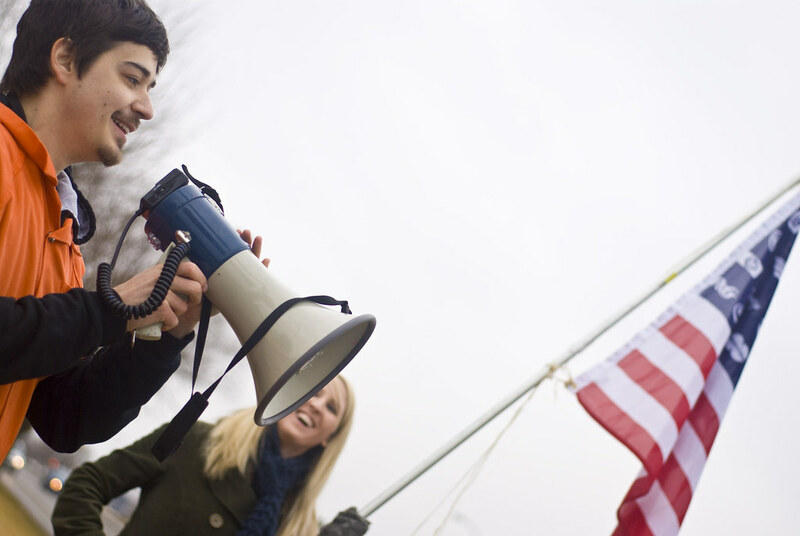 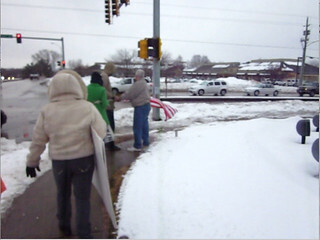 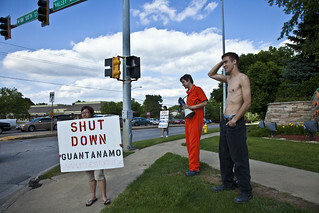 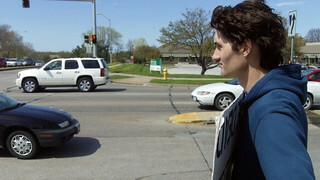 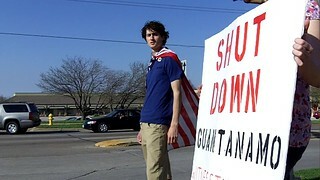 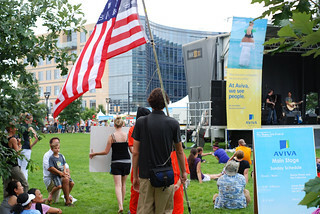 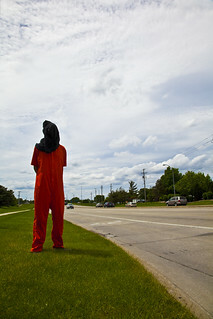 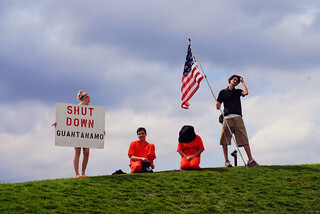 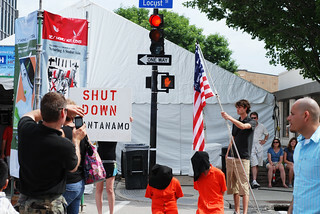 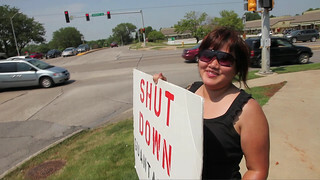 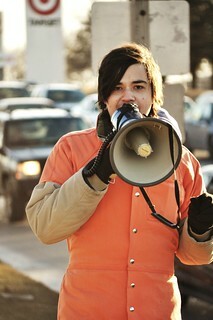 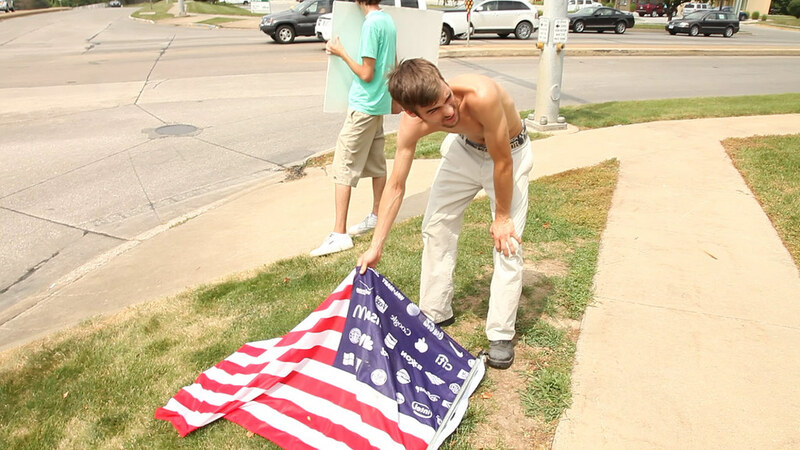 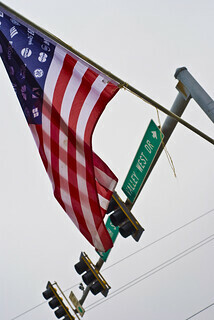 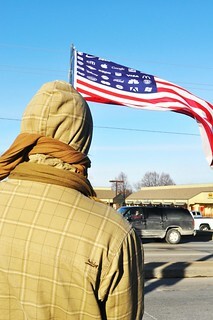 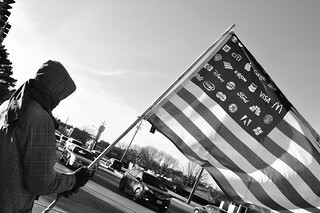 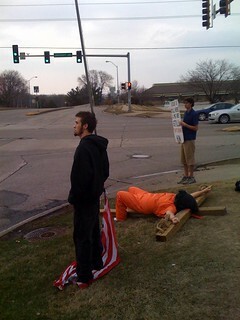 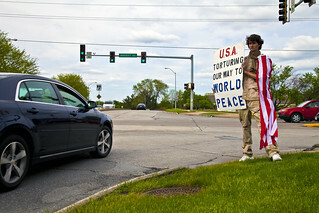 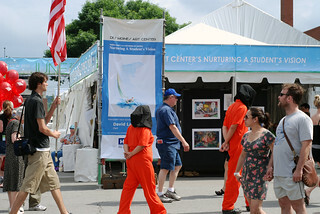 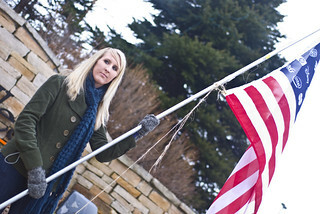 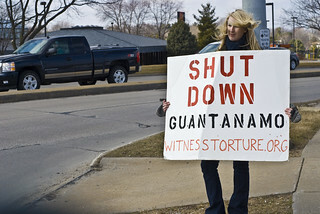 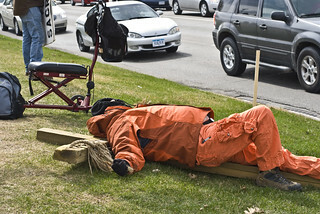 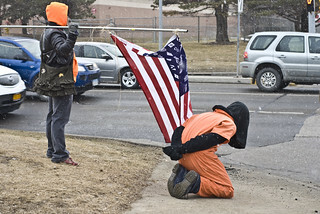 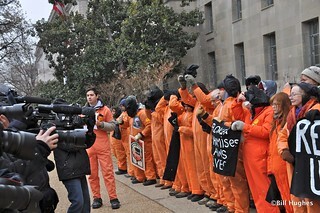 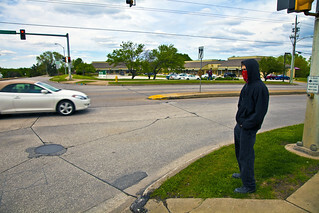 Anti-Torture Vigil - Week 35: I pledge allegiance to the plutocracy of the United States of America. 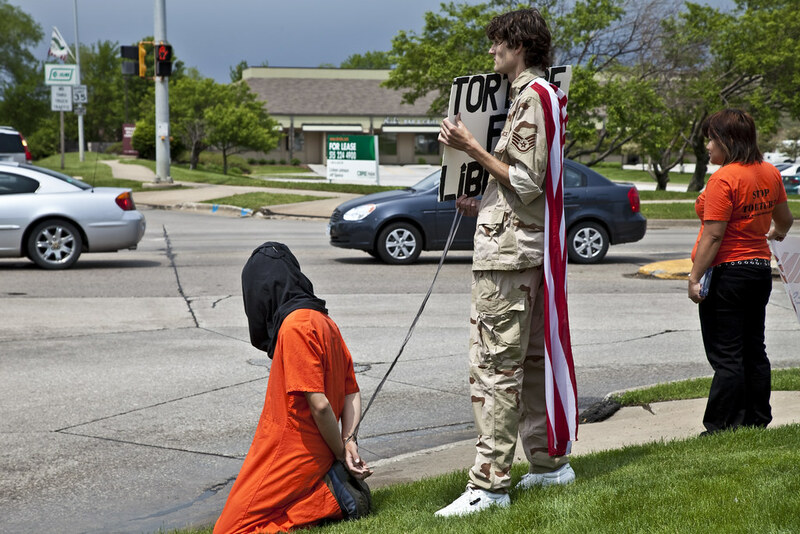 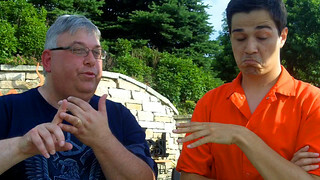 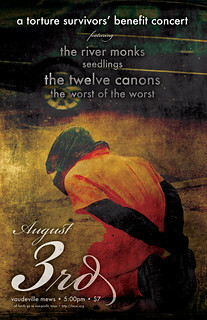 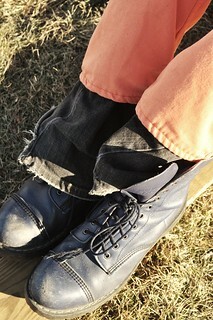 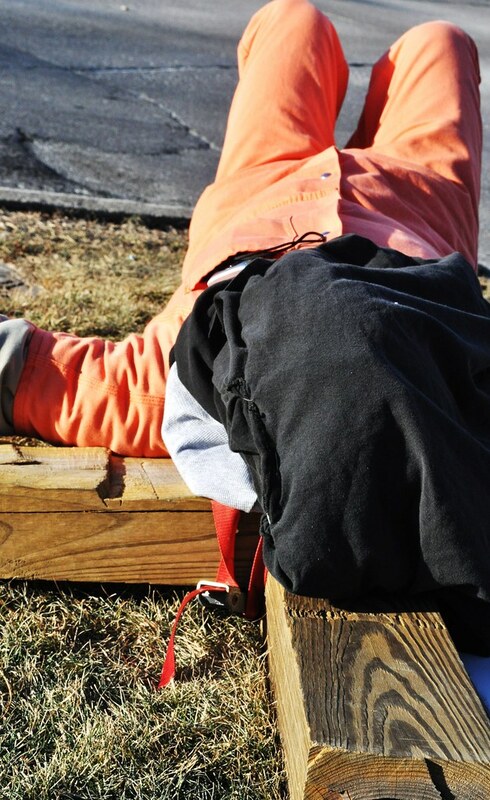 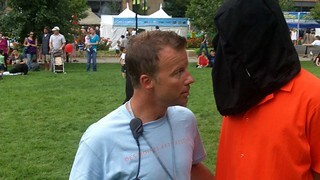 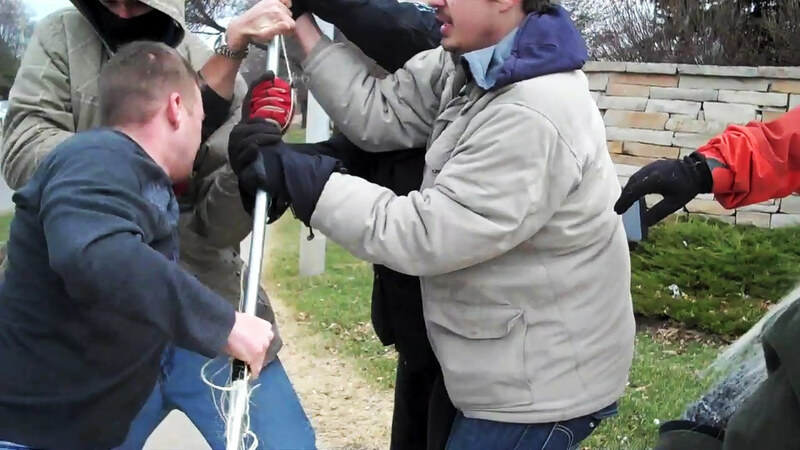 "People Are Sacred, the Flag Is Not"
Anti-Torture Vigil - Week 50: Torture for Liberty? 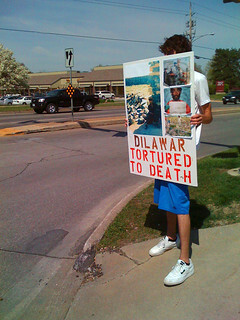 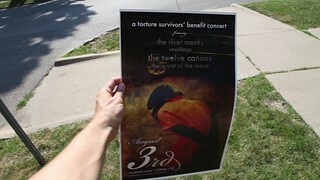 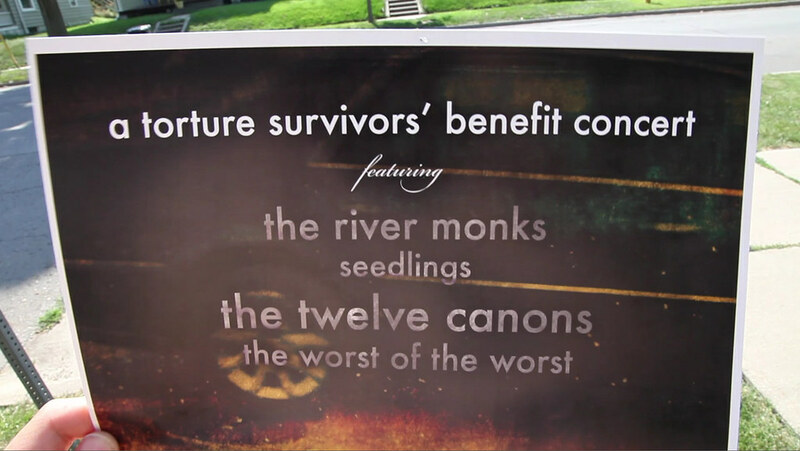 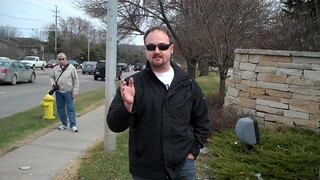 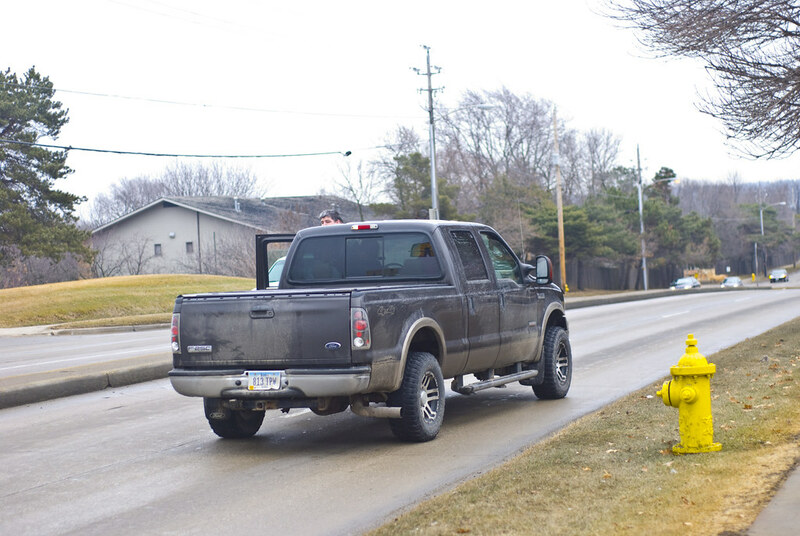 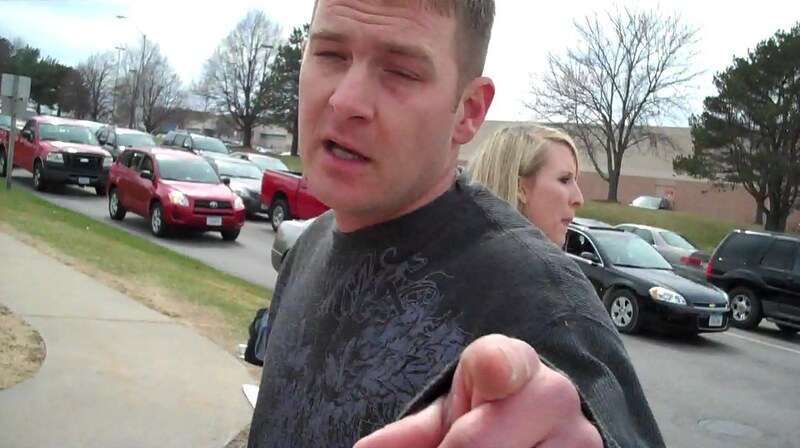 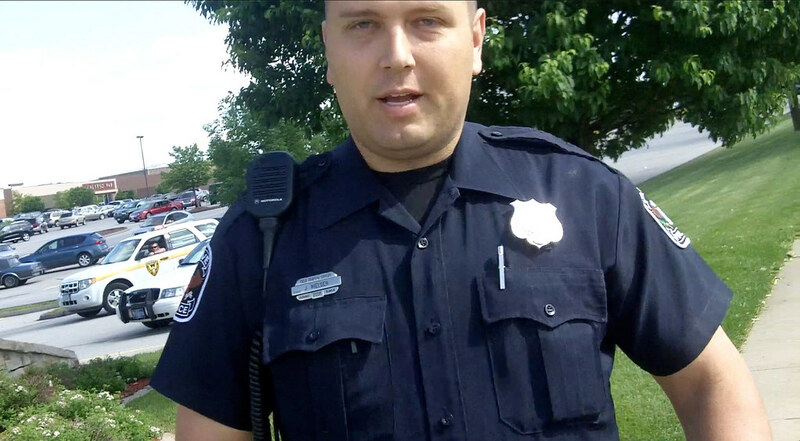 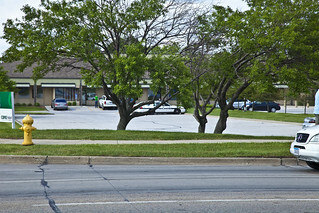 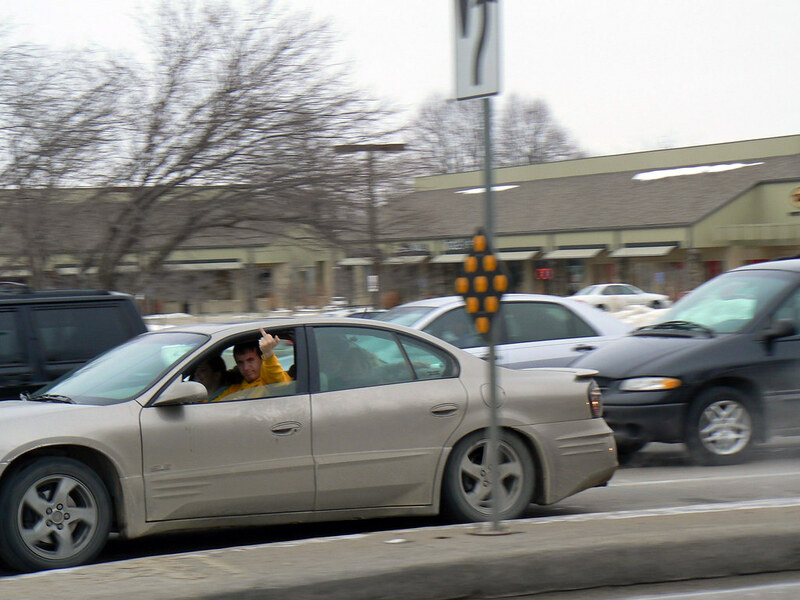 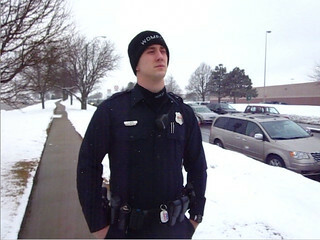 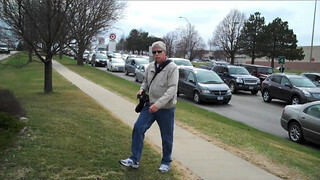 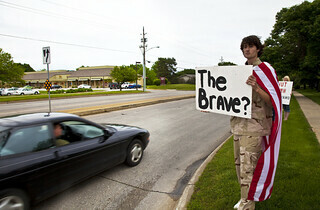 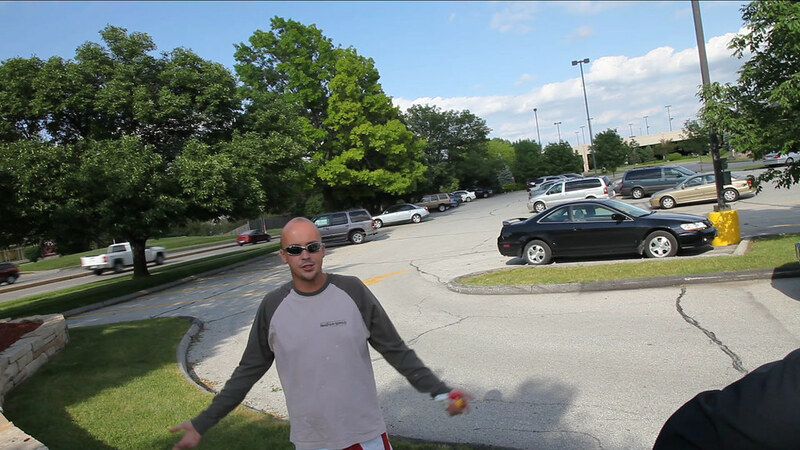 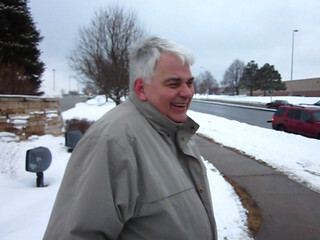 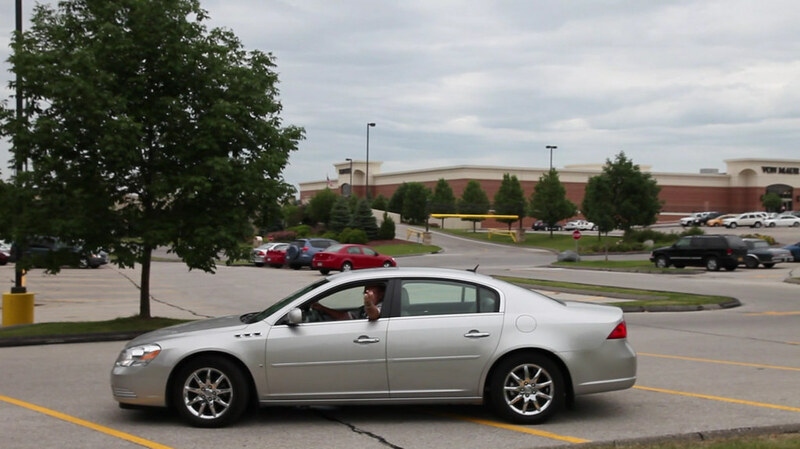 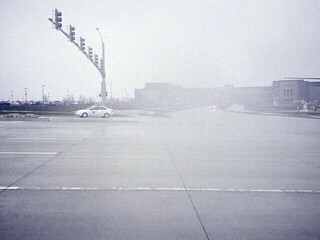 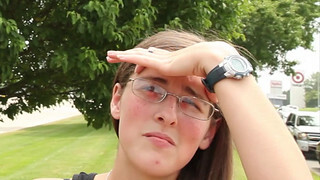 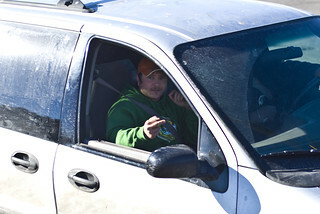 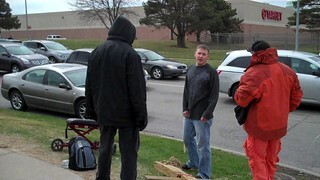 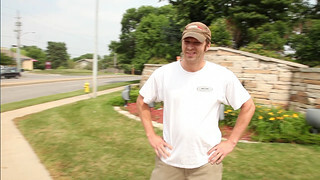 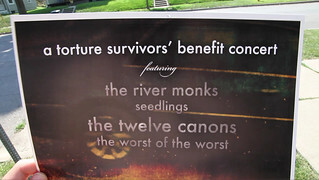 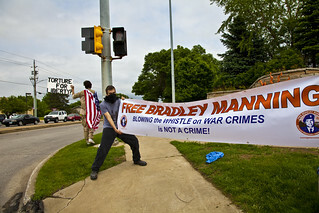 Anti-Torture Vigil - Week 50: "The Brave?" 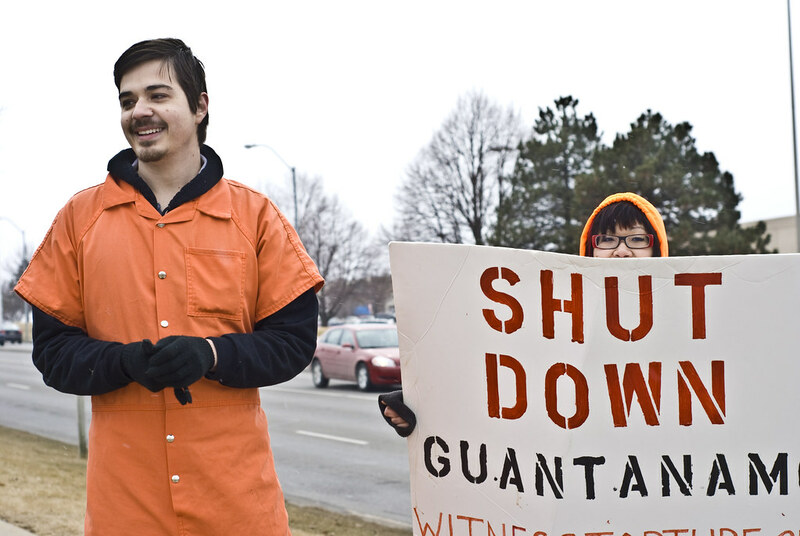 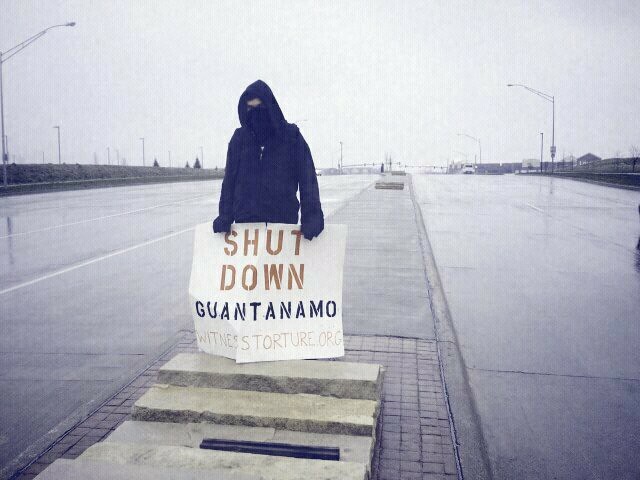 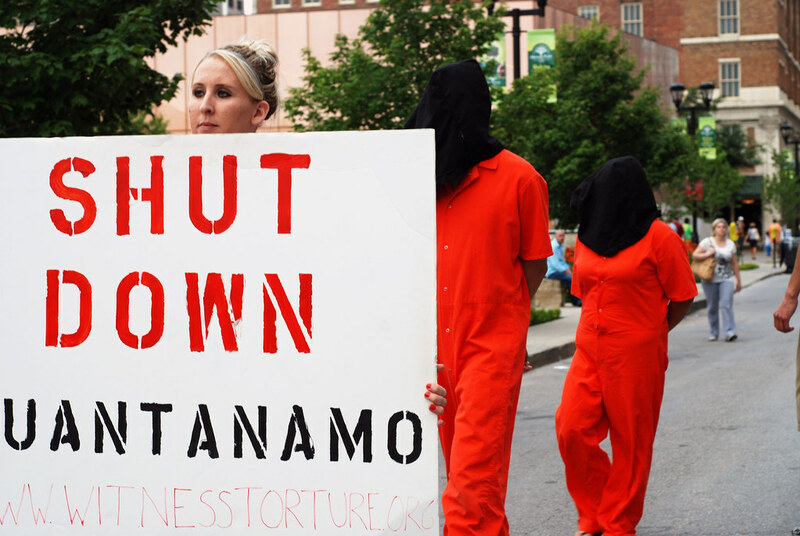 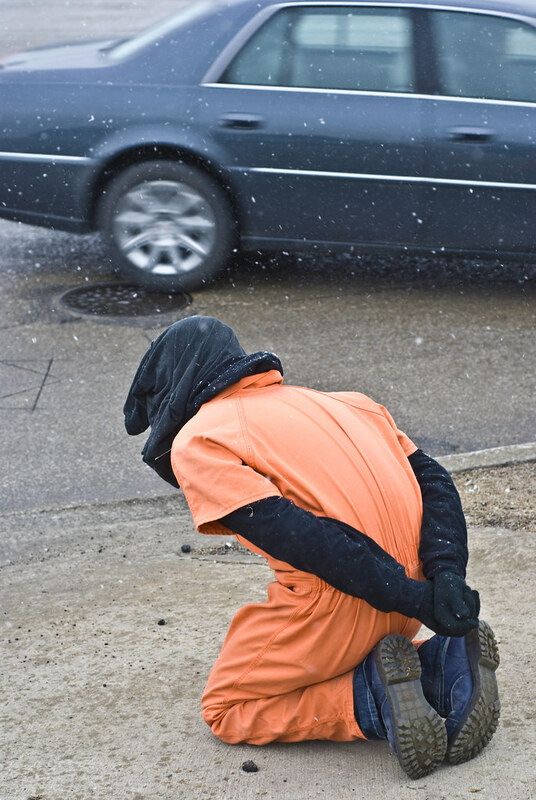 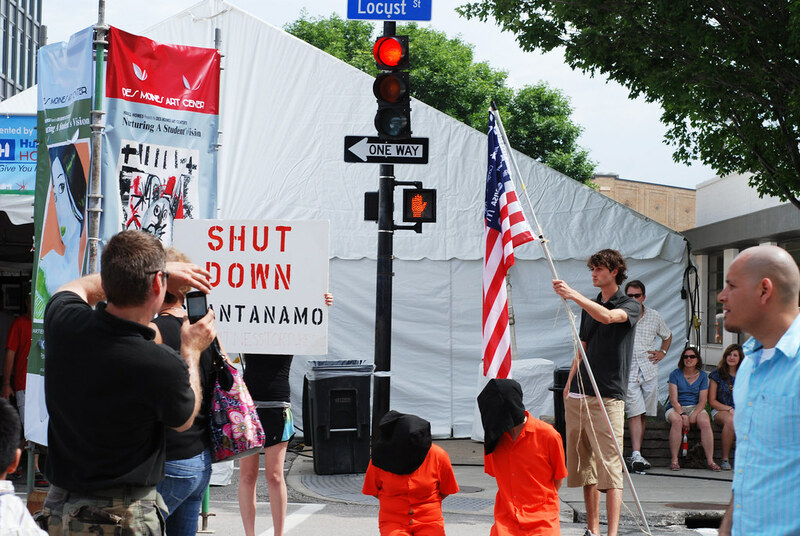 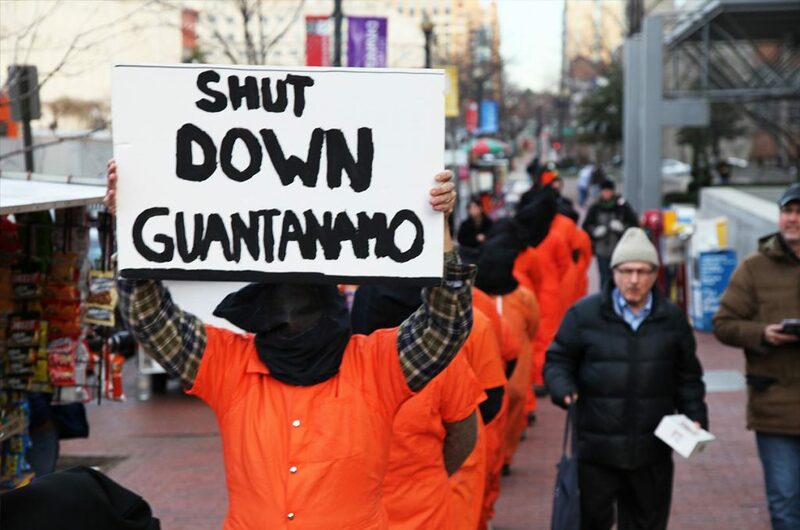 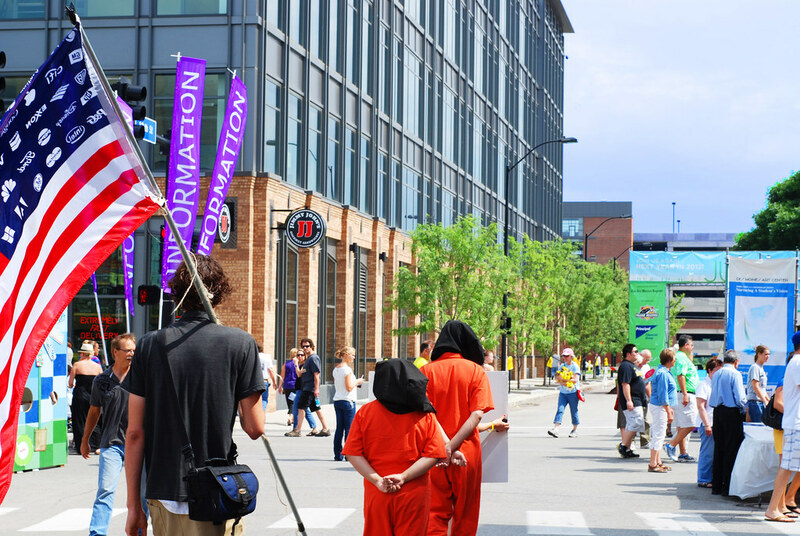 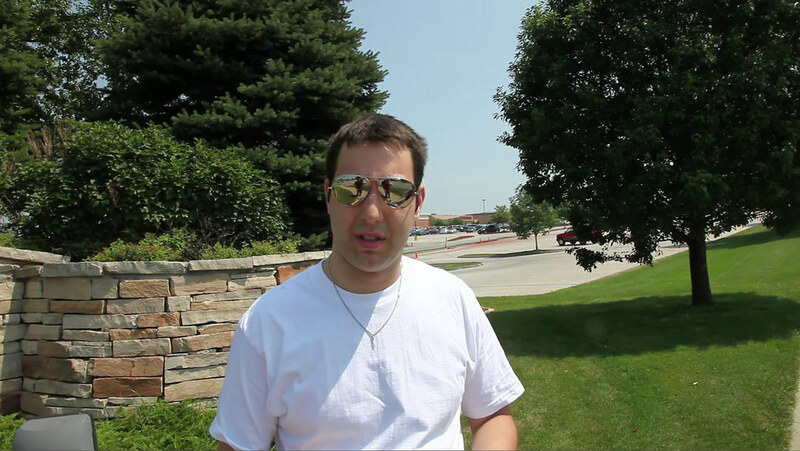 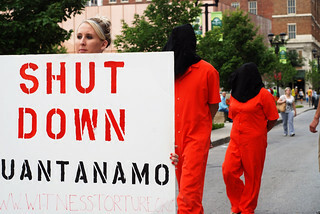 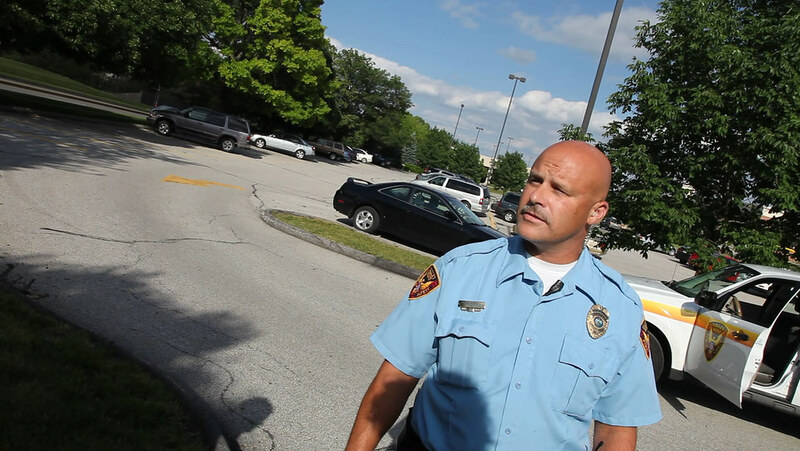 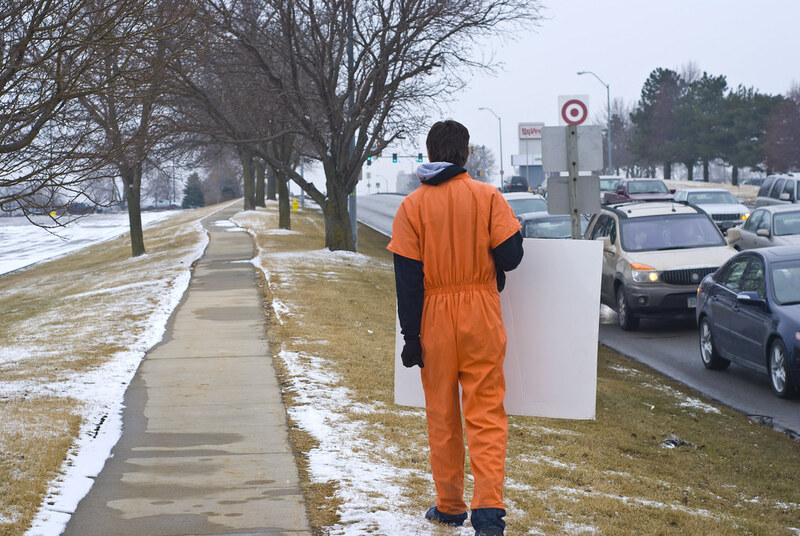 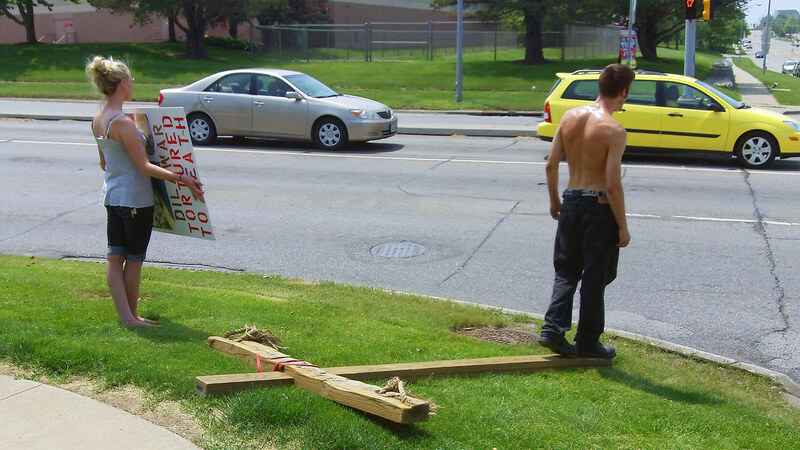 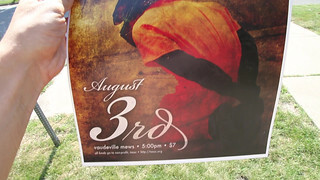 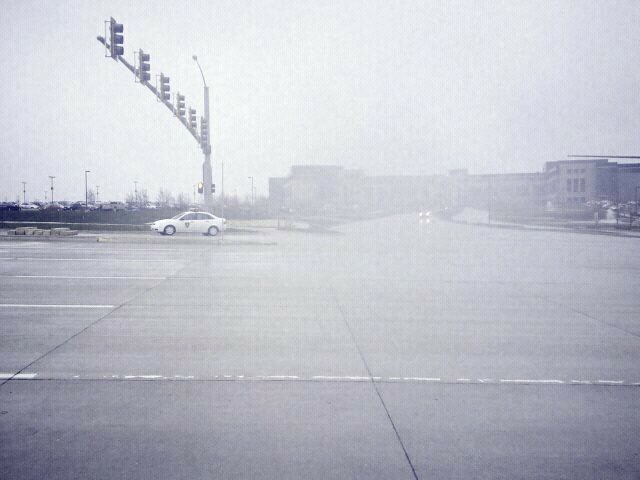 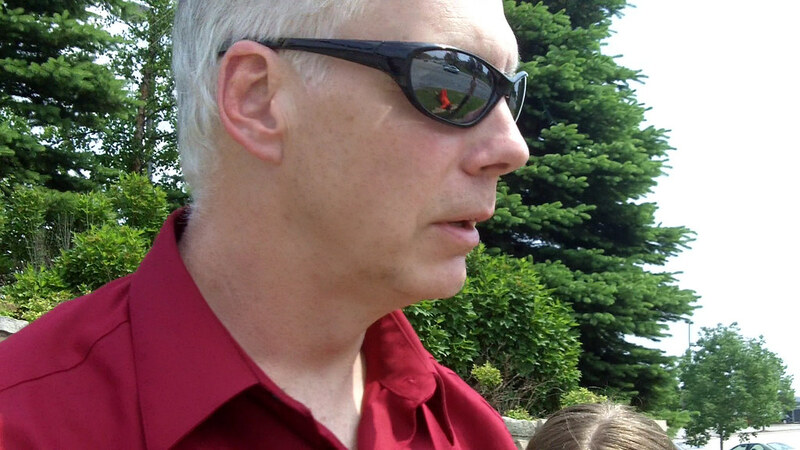 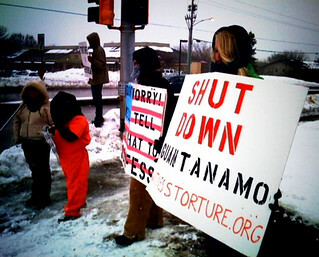 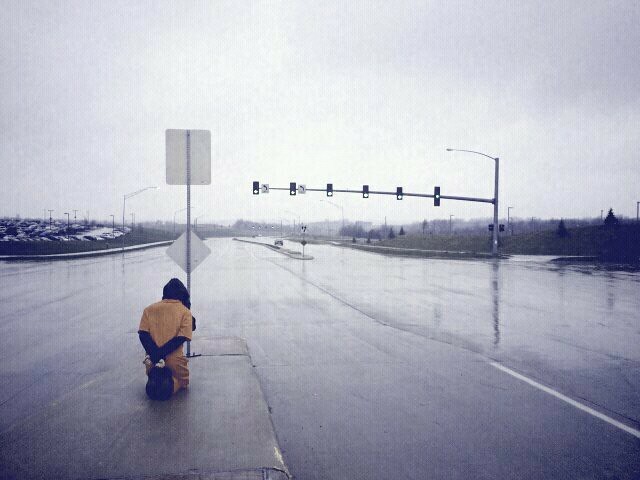 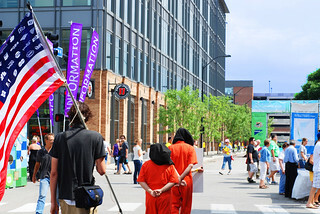 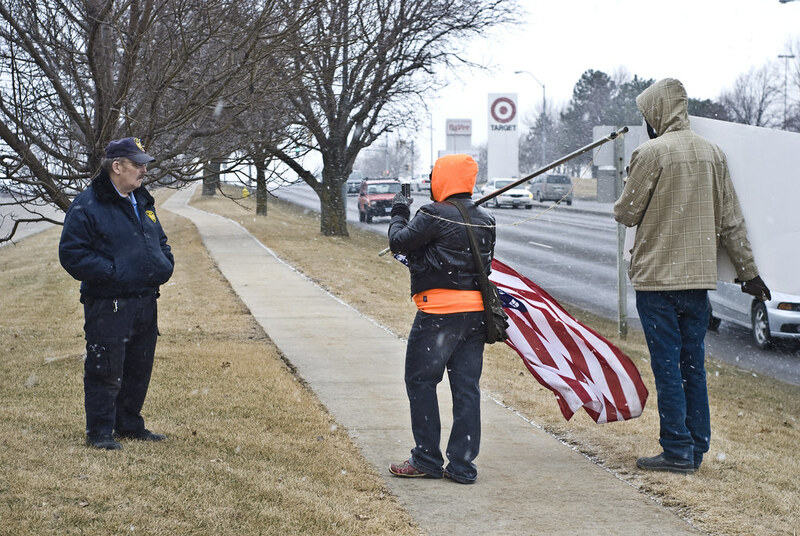 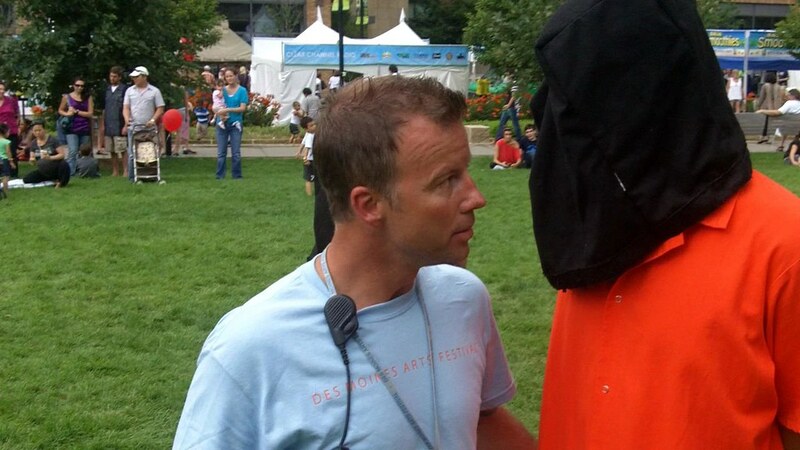 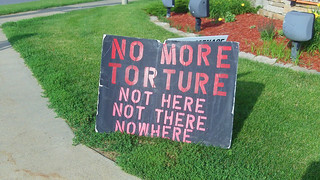 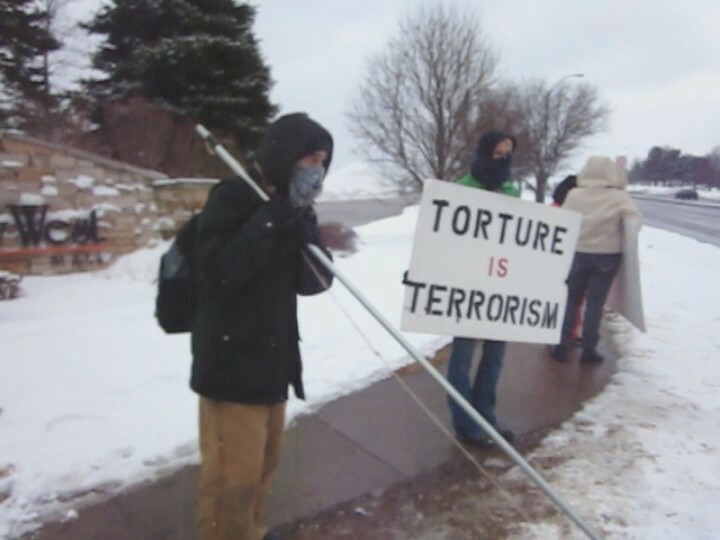 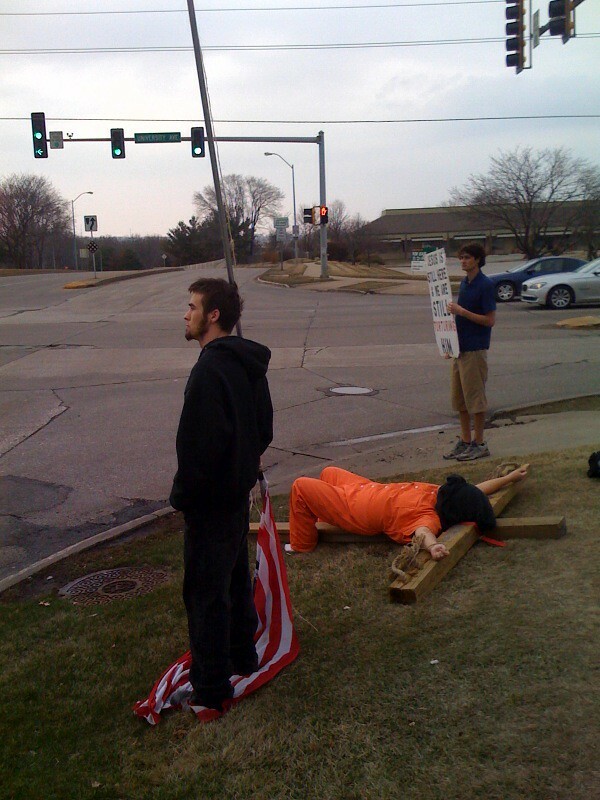 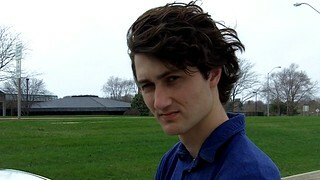 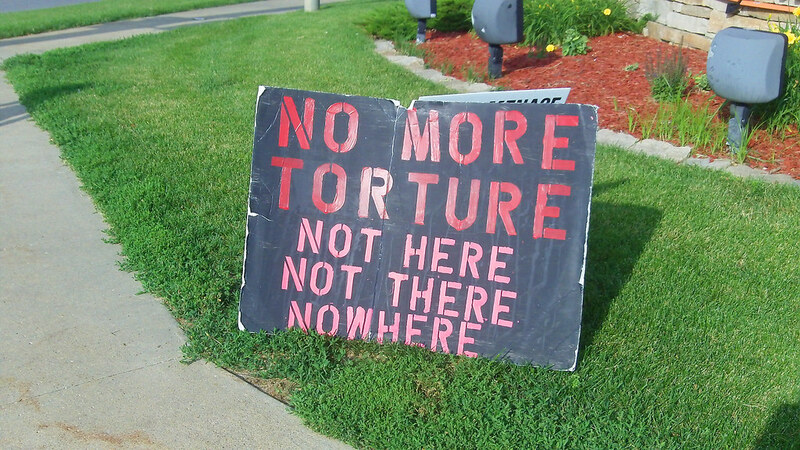 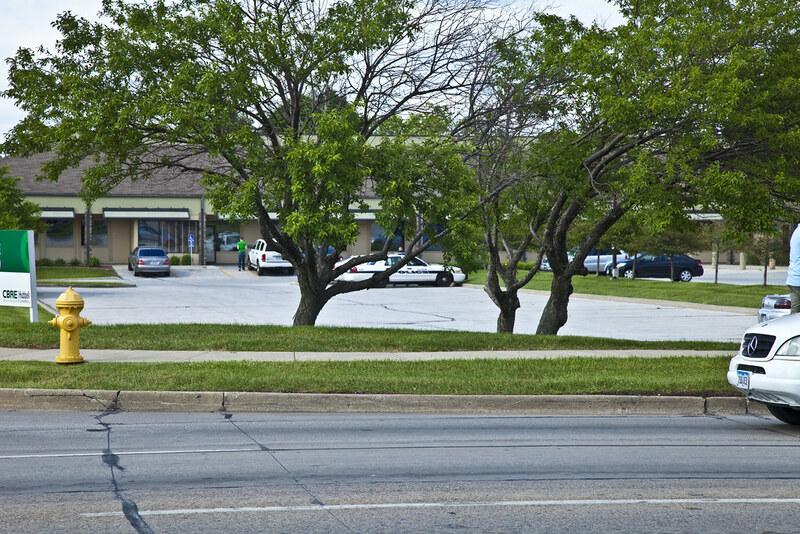 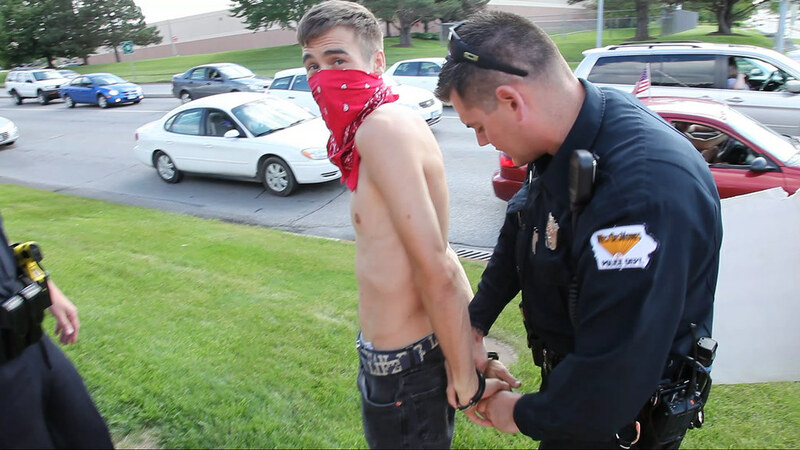 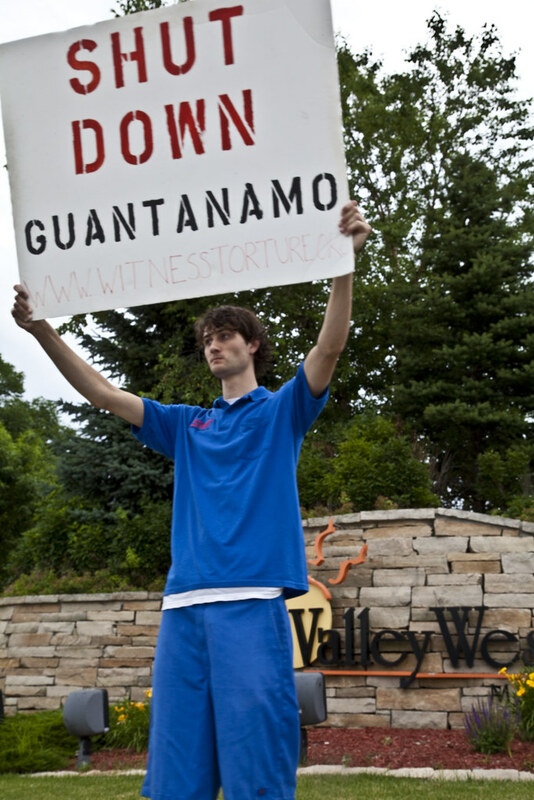 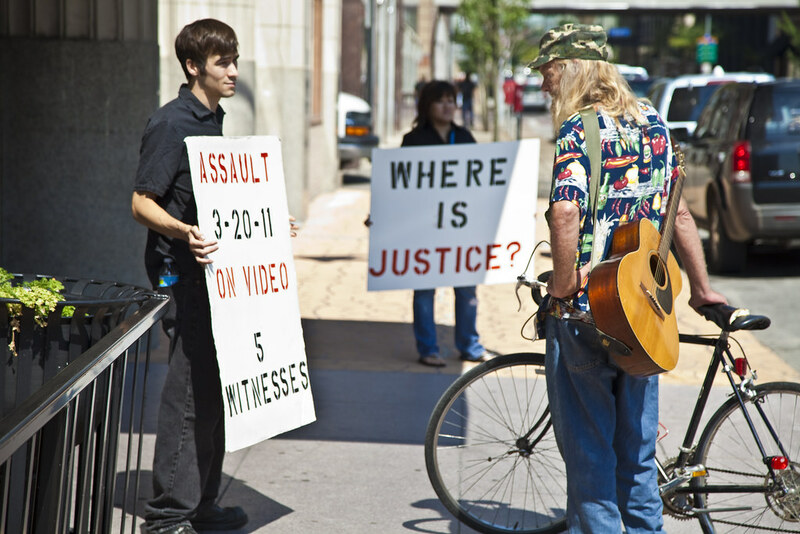 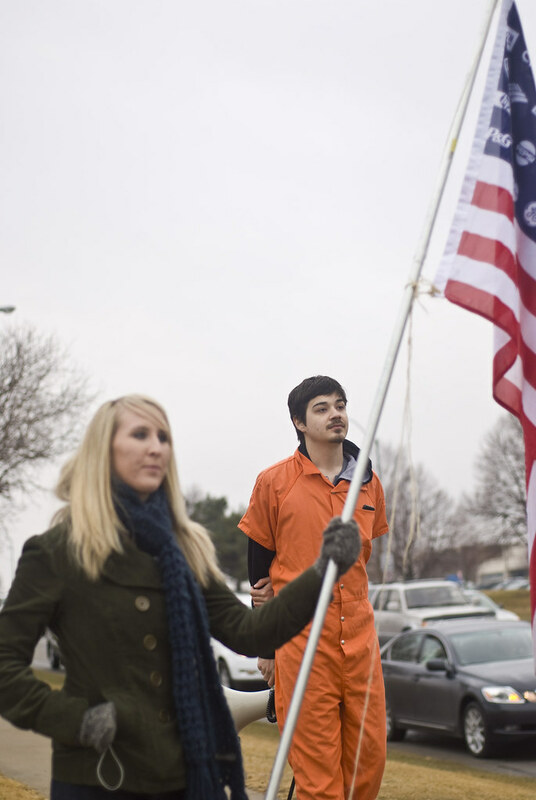 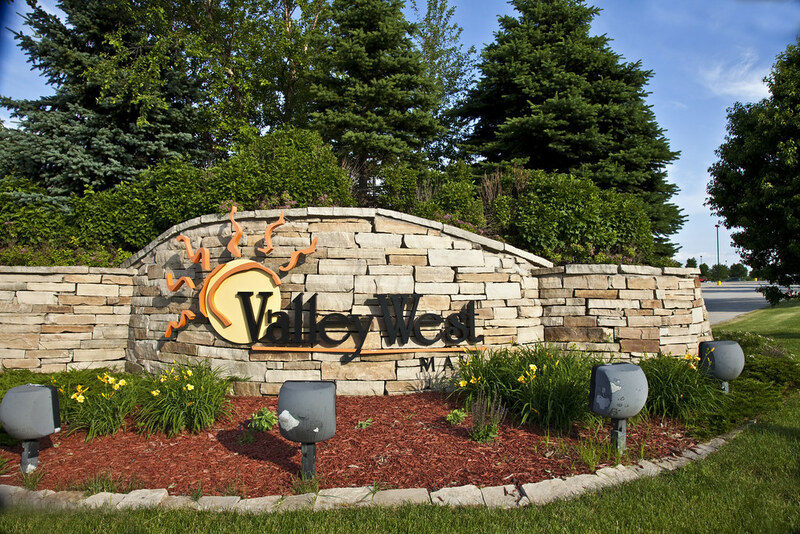 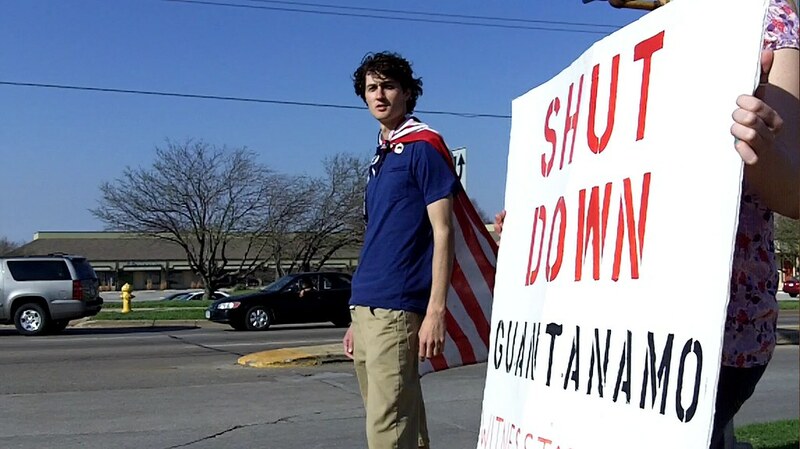 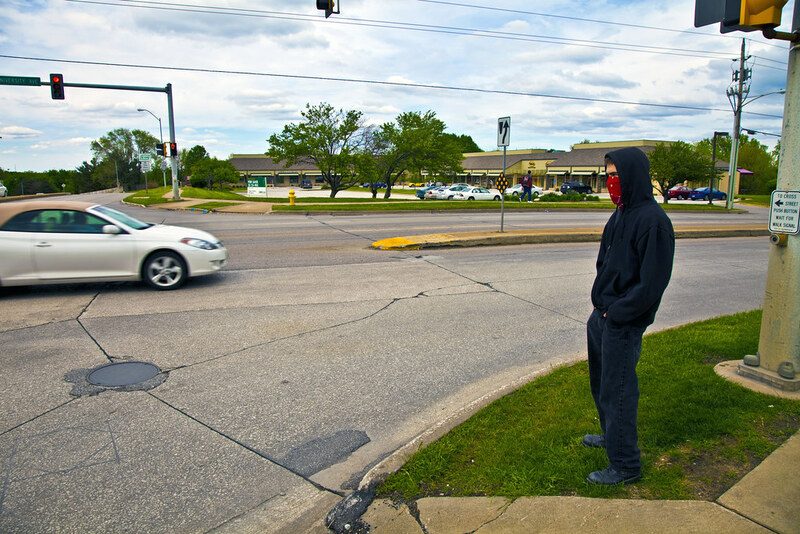 Anti-Torture Vigil - Week 56: "That's Pretty Much What America Stands For"